Please continue to learn how to read and write the 100 high frequency words. This week in literacy we have been practising using ‘S’ and ‘es’ at the end of words. We been using persuasive writing and key words to plan and write letters from Duncan to a crayon from the story ‘The day the crayons quit’. 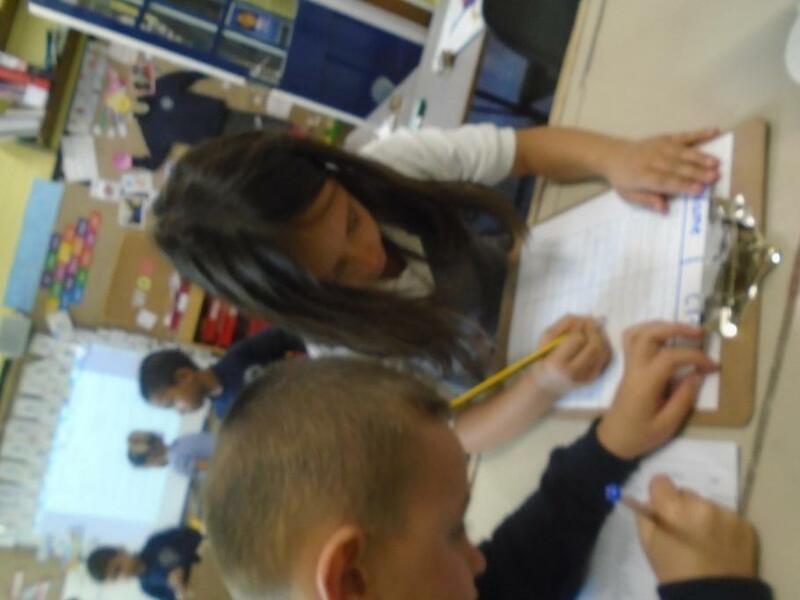 In maths this week we have been recapping the days of the week and months of the year. 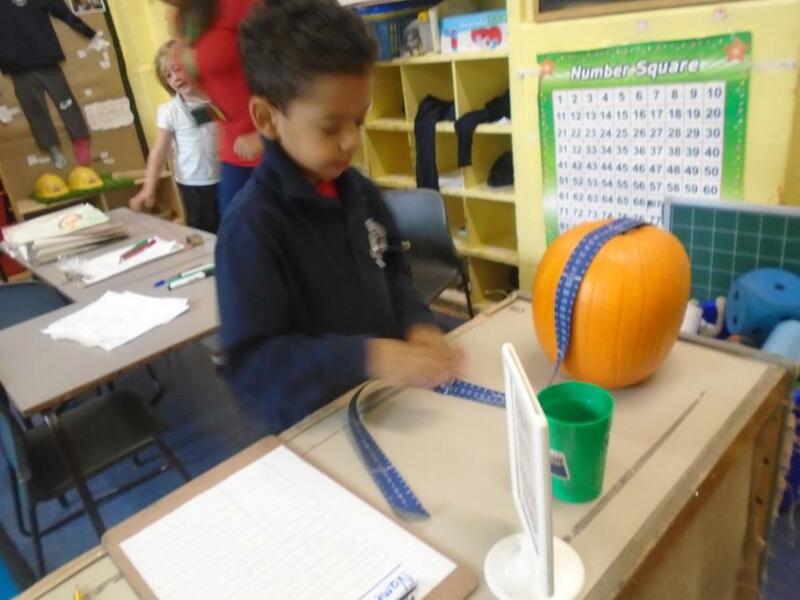 We spoke about the importance of time and why we use it. 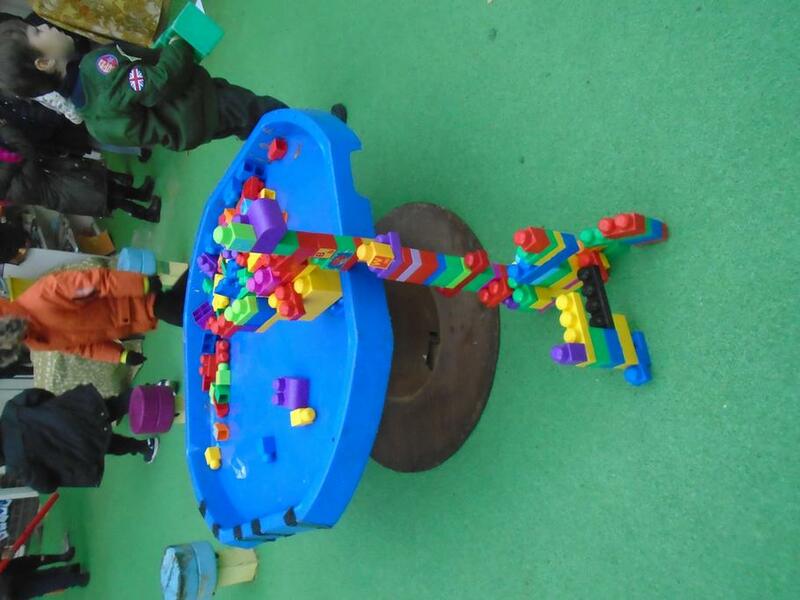 The children have learnt that a clock has an hour and minute hand (please don't say big hand and small hand). We now know how to tell time using O’Clock and half past. 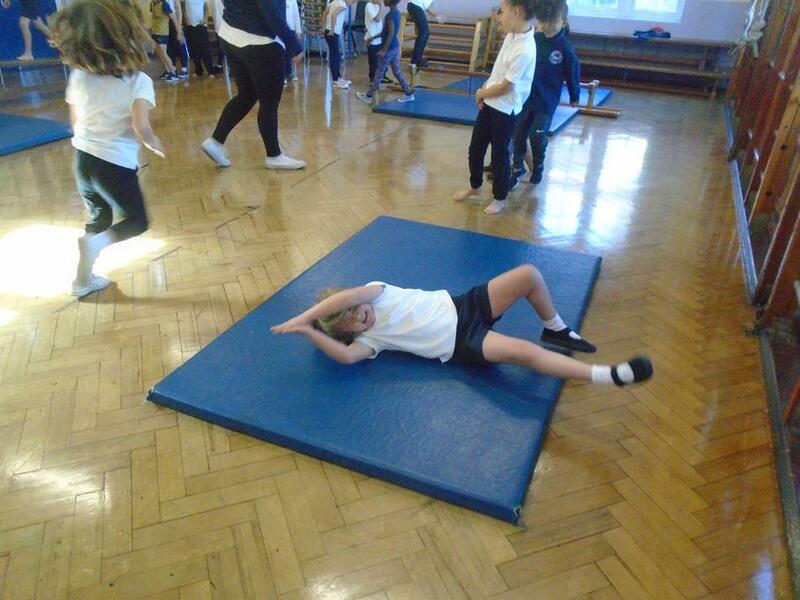 We are still learning about Ernest Shackleton's journey to Antarctica and in PE we learnt how to move around on snow and ice in different ways. This week in literacy we have been continuing with the story 'The day the crayons quit' and thinking about how the characters show their emotion through their facial expressions and body language. 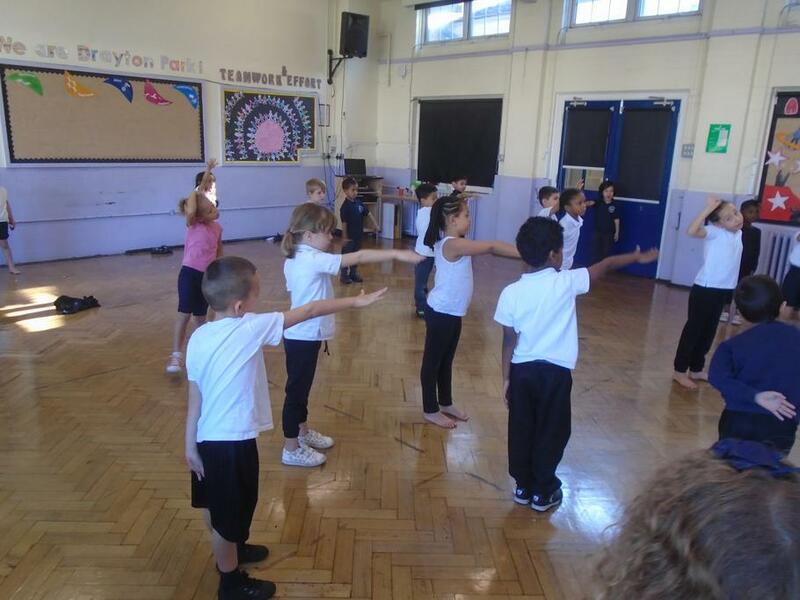 We have taken on the role of the crayons and been thinking how we can use out body language to portray their emotions. 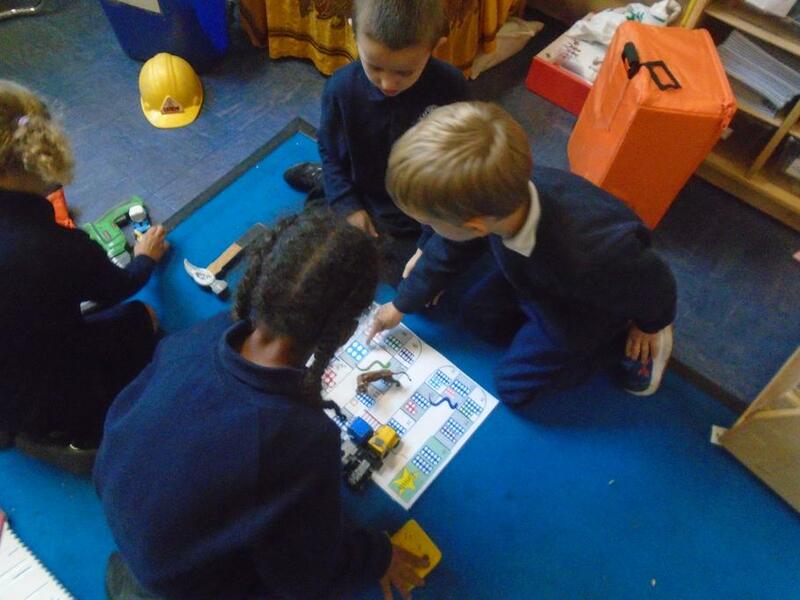 This week in maths we have been learning to use positional language. 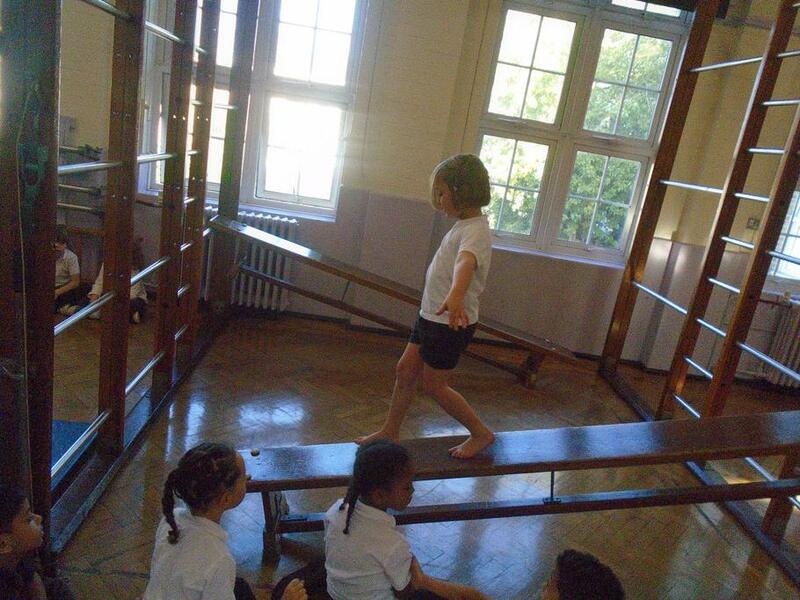 We have learnt our left and right - please ask your child to show you at home. We build a tower behind a blanket and gave our partner instructions using positional language to build an identical tower. 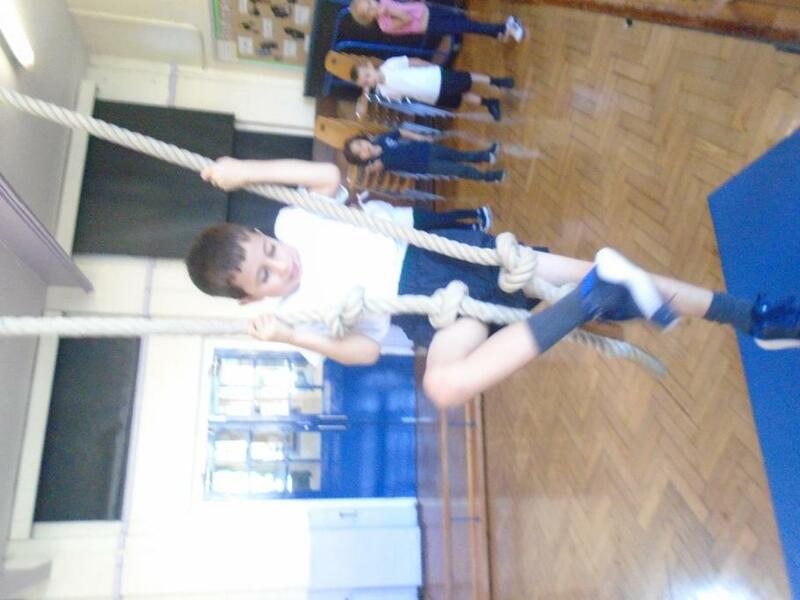 This week we have been learning and verbs and past tense verbs. making sure to add 'ed' to verbs that have happened in the past. We have been spotting verbs in books and around the classroom. 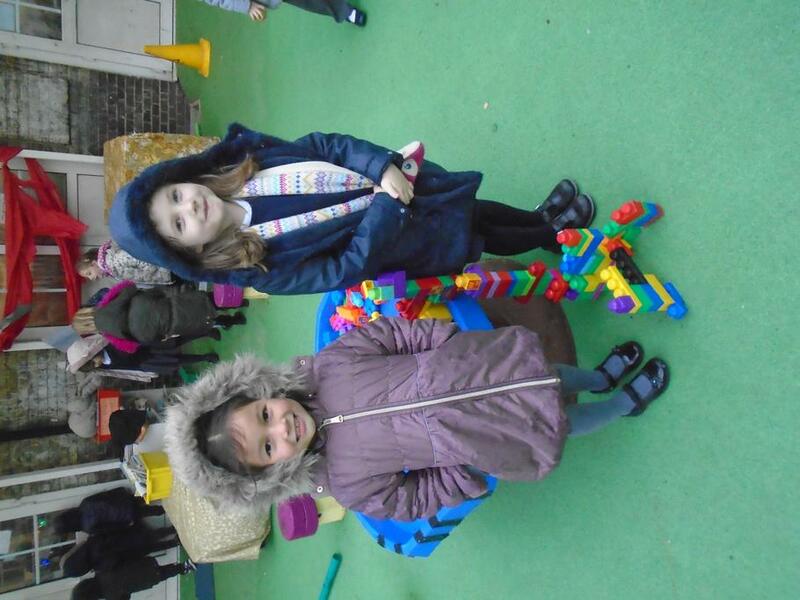 we have been practising subtraction. And remembering to always start with the big number first. 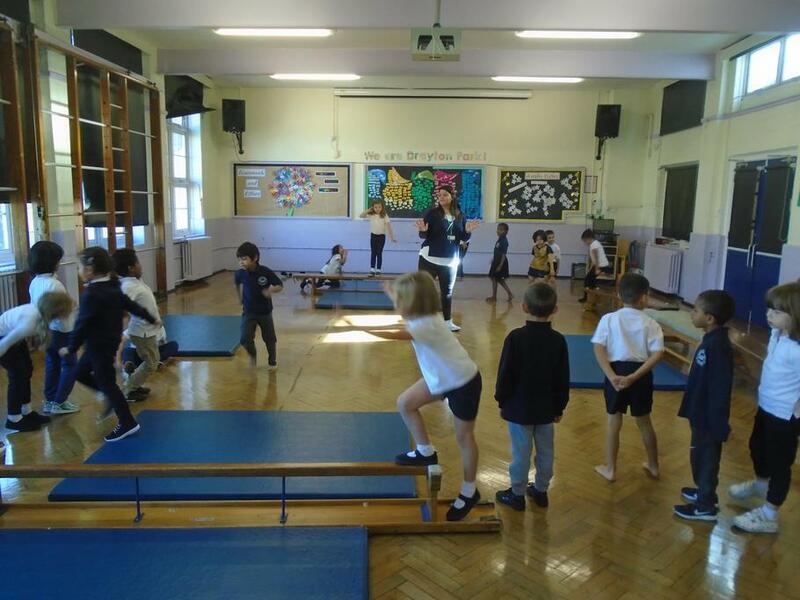 This week we have been settling into the routines in Venus class. Maths: In maths we have revisited place value using tens and ones dienes. 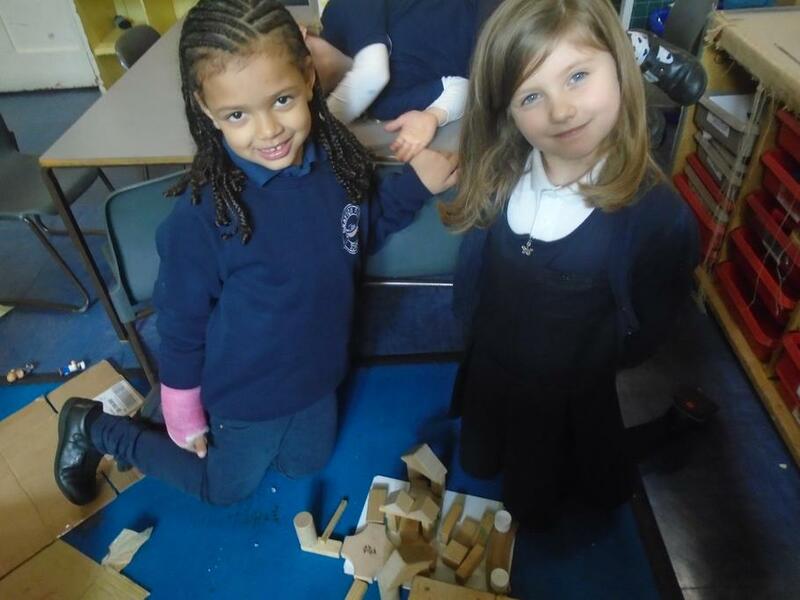 We have been exploring adding with dienes. We have learnt to add the biggest number first. This half term we are going to be focusing on the story 'The day the crayons quit'. 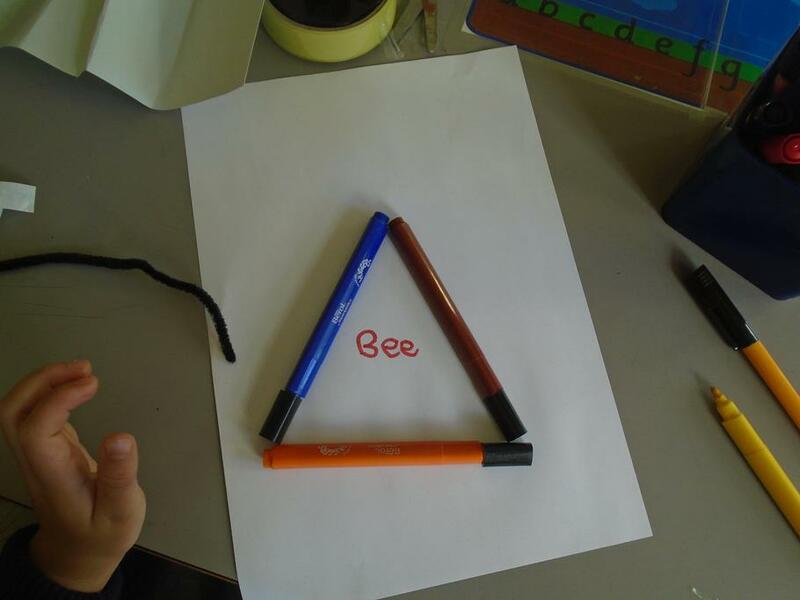 We have been learning what a letter is and teh purpose of them. We have started to write our own letters to Duncan (the boy in the story) from the point of view of one of the crayons. 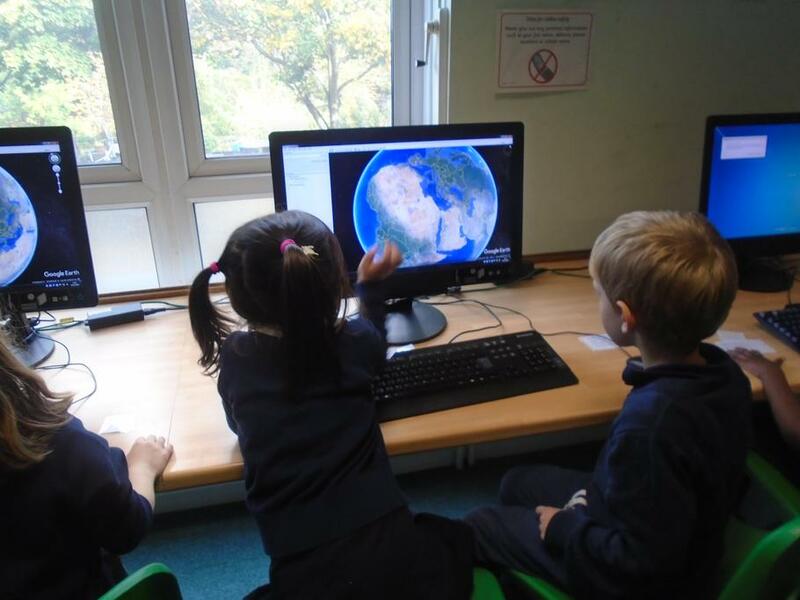 This term we will be exploring Polar regions, and Earnest Shackleton's journey to the Antarctic. 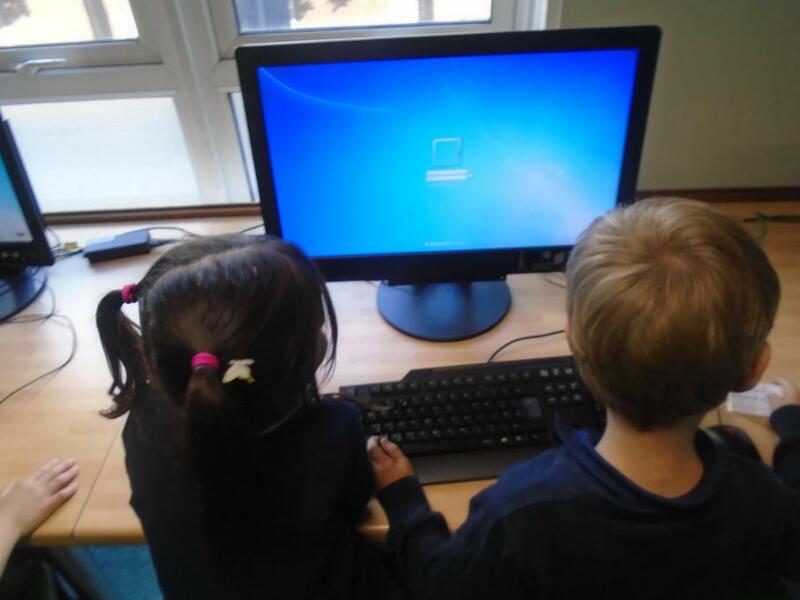 The children have bneen assigned two tasks on Mathletics. 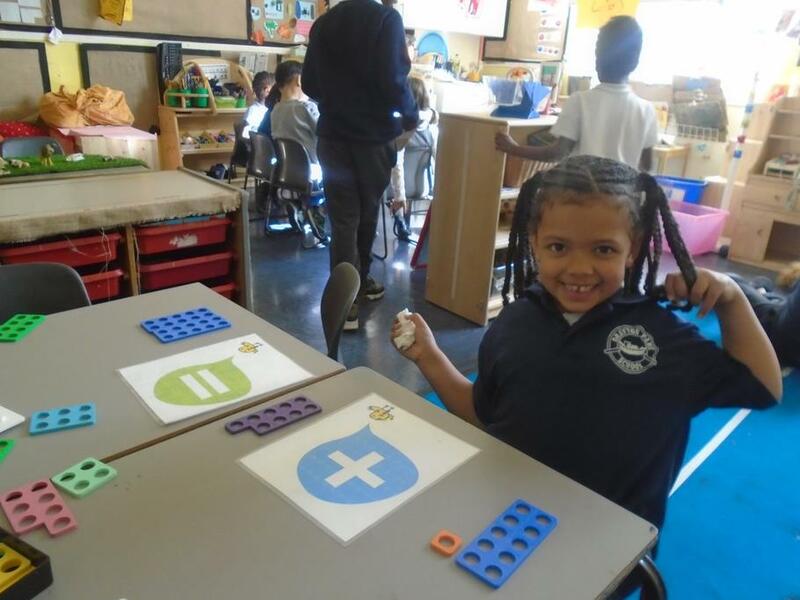 Making big numbers count and place value 1. These are due in for the 17th January. 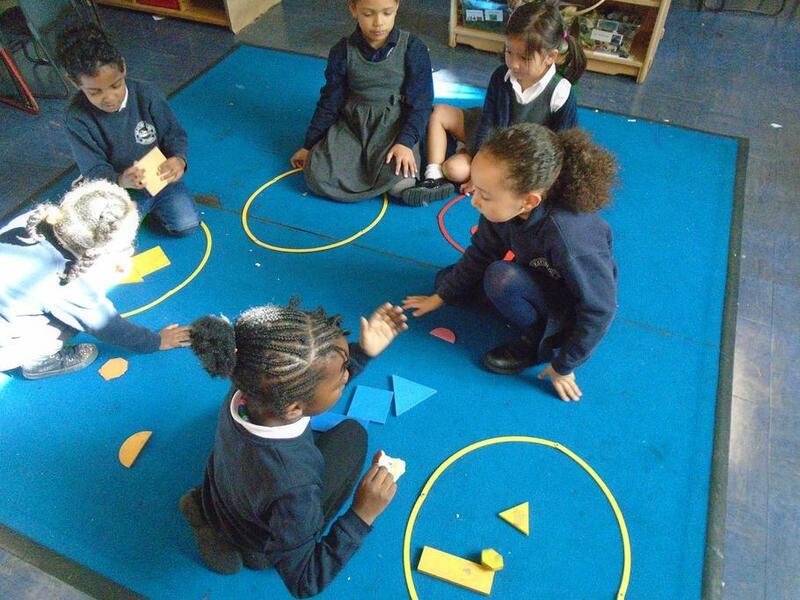 This week in maths we have been learning how to find 1/2 of shapes and amounts. 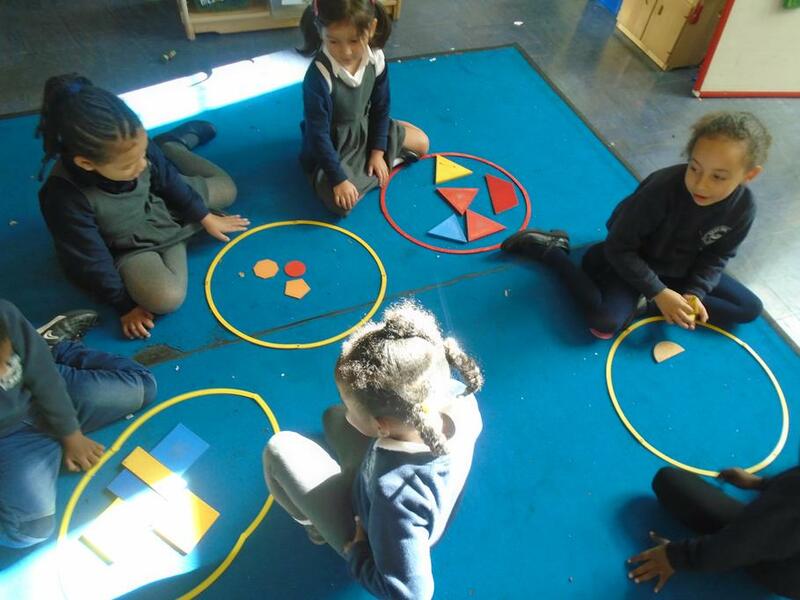 We have been using paper plates and cutting these into 1/2 and drawing around shapes and estimating where the middle would be to find half of the shape. 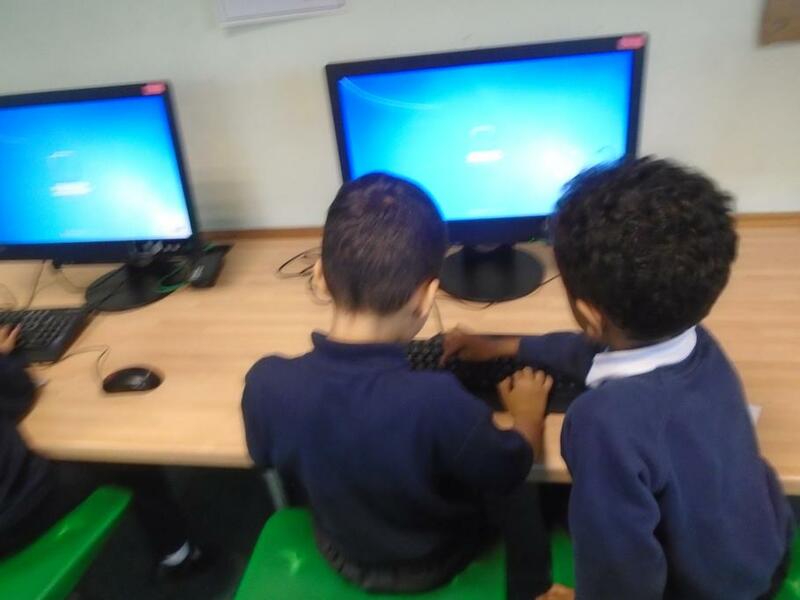 This week in literacy we have finished rewriting the middle of the story 'were going on a bear hunt' and started planning to write the end of the story. 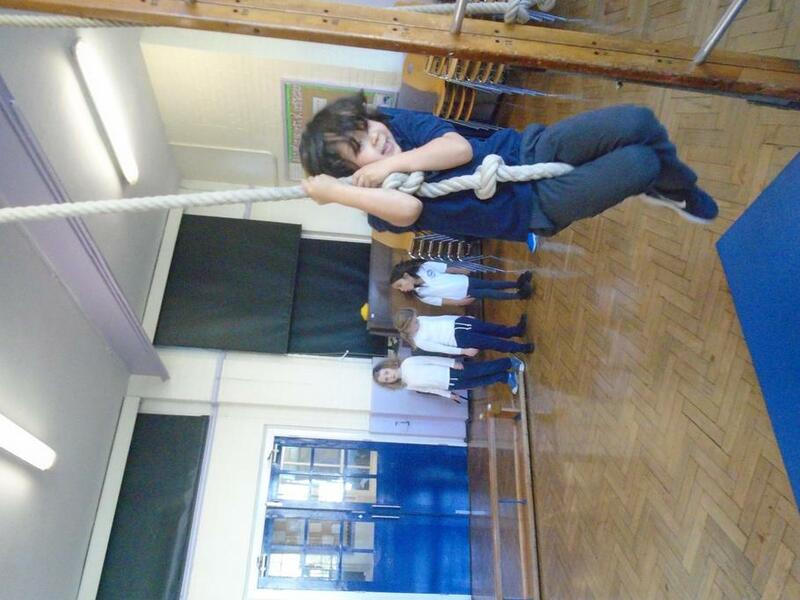 We are very excited for your assembly on Friday 30th as have been practising telling the story. 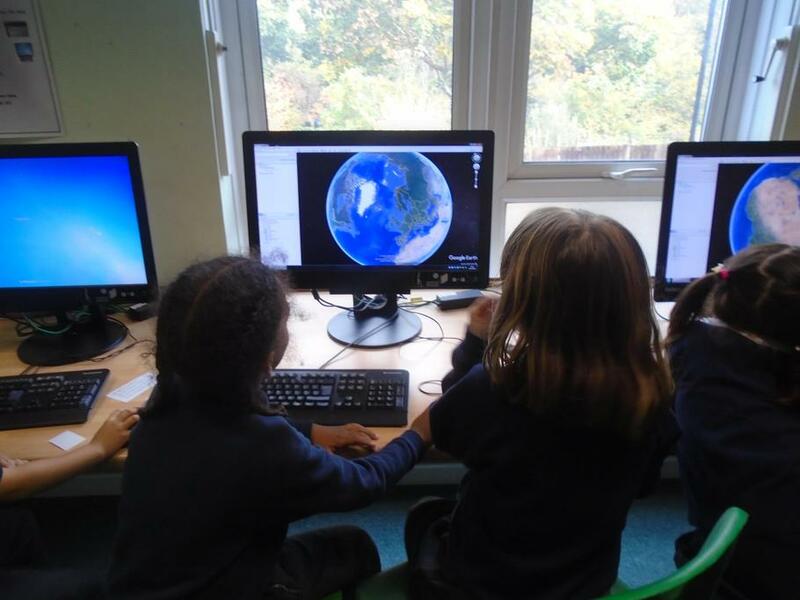 We have been learning all about the Arctic and polar bears; where they live, what they eat, how do they cope with the cold weather, how do people survive in the Arctic and what climate change means for the Polar bears and people living there. 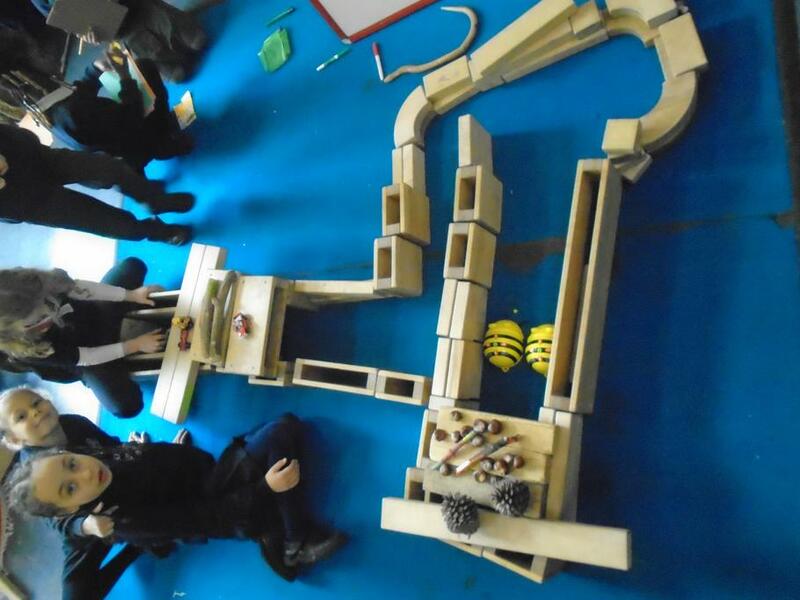 Please remember our assembly is this Friday 30th November 2018. This week in maths we have been securing our knowledge of multiplication and understanding that we can write multiplication and arrays in different orders to reach the same answer. 3 lots of 4 = the same as 4 lots of 3. 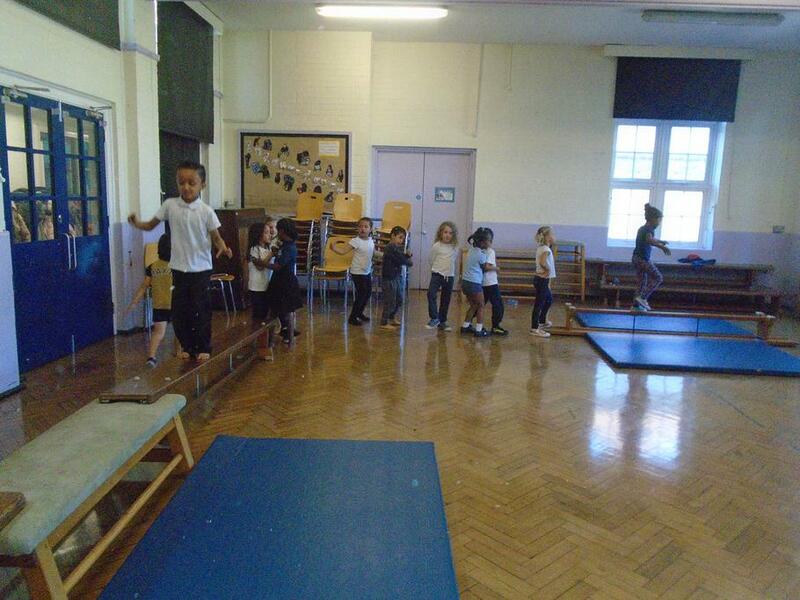 This week we have been developing out story of were going on a bear hunt by writing the middle of the story. 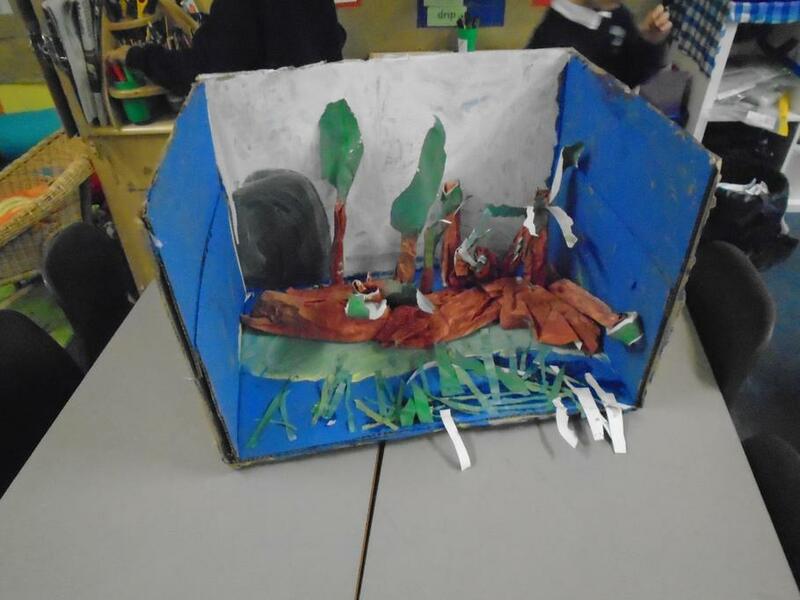 the children have chosen their favourite settings to include in their story. 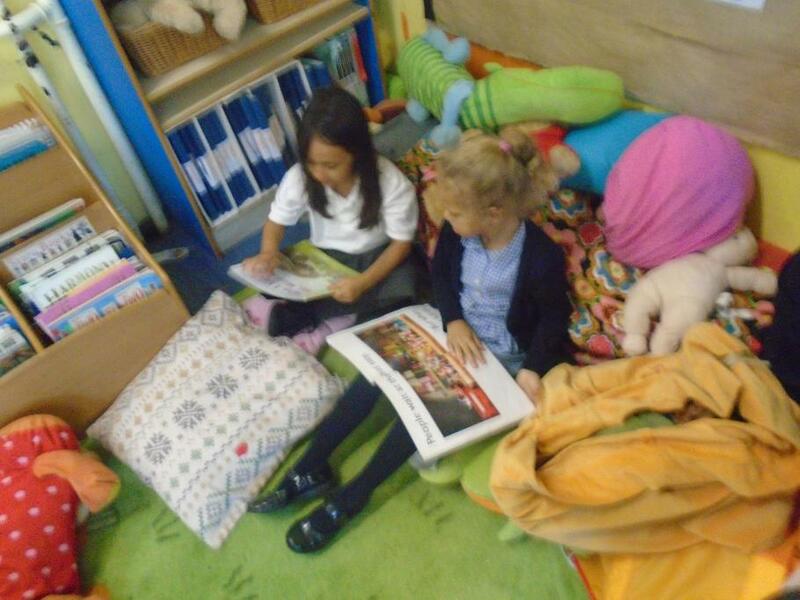 We have really enjoys the Read-a-thon this week and thank you to everyone who has taken part and sponsored their child reads. 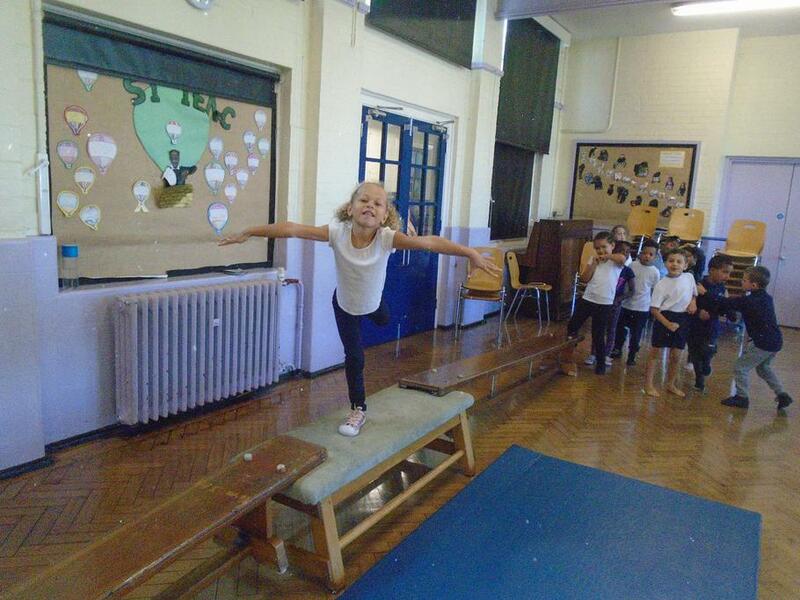 we are very excited because Friday the 30th November is EYFS/YR1 assembly. 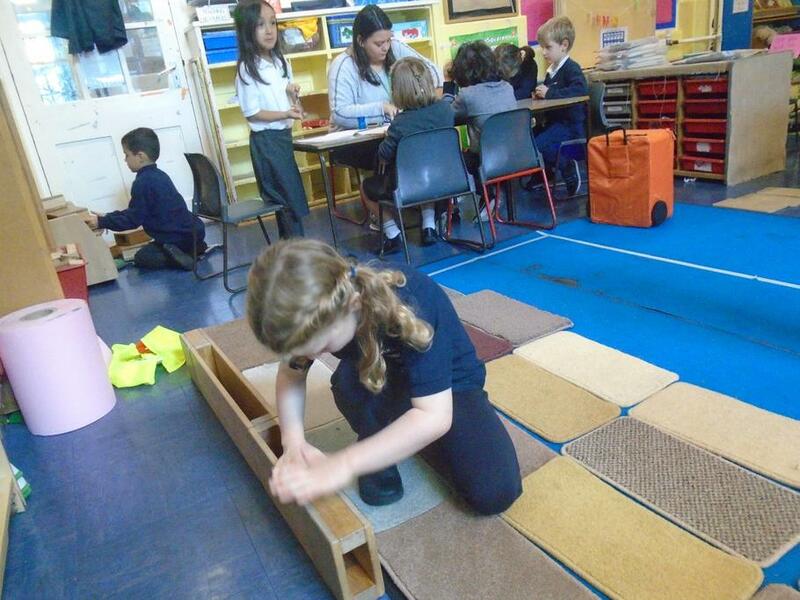 we have learnt sorting into equal groups and using arrays to show multiplication. 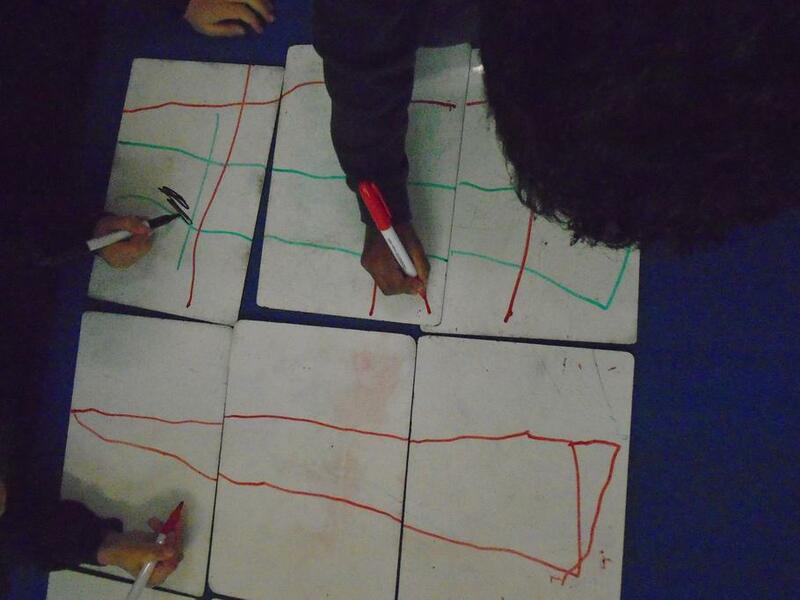 We have also learnt how to read multiplication number sentences I,e. 3 x 4 = '3 LOTS OF 4 =' . Please use matheletics to secure your child understanding of this. 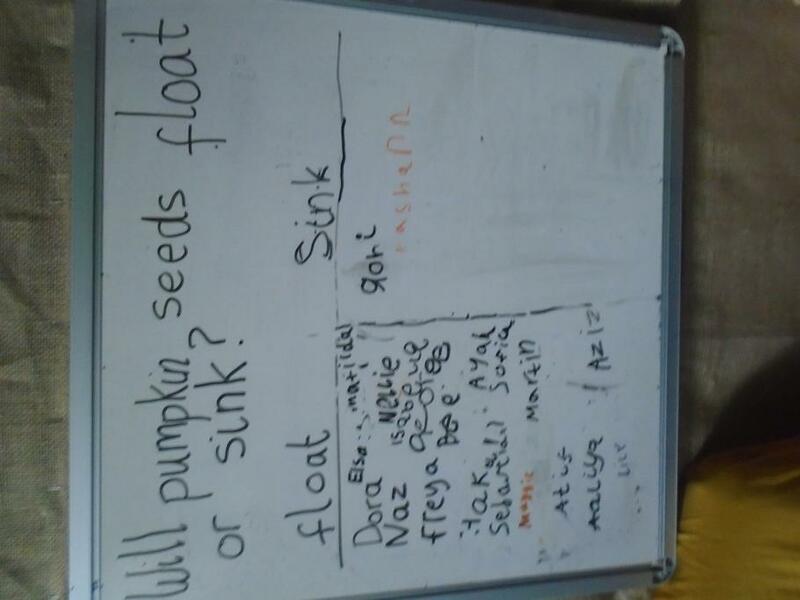 We have been learning how to plan and write a story. 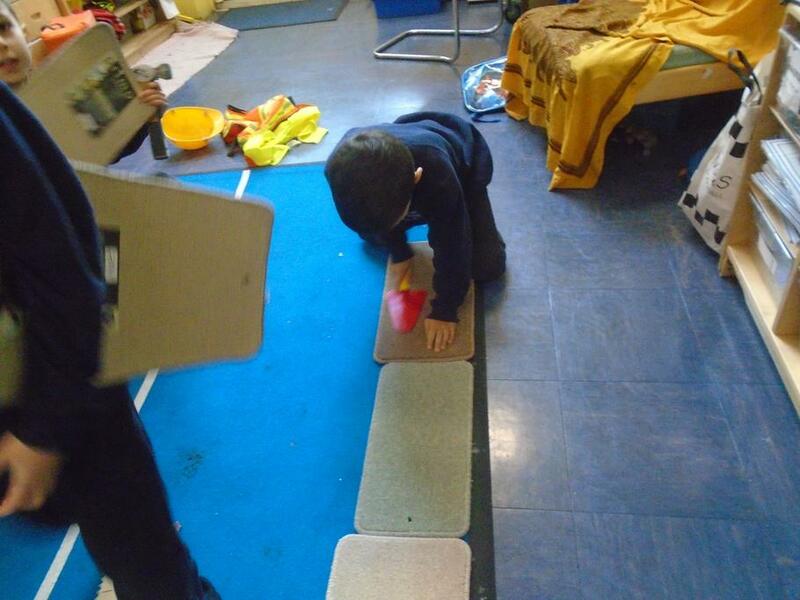 we have been using the story were going on a bear hunt. 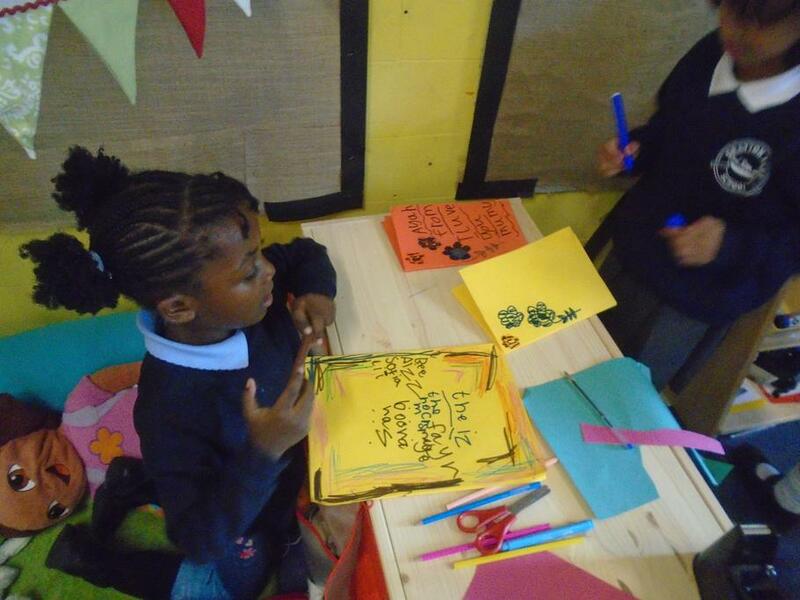 Each child have written the beginning of the story. Please continue to read with your child at home with their reading records. This week in maths we have been learning multiplication as repeated addition. 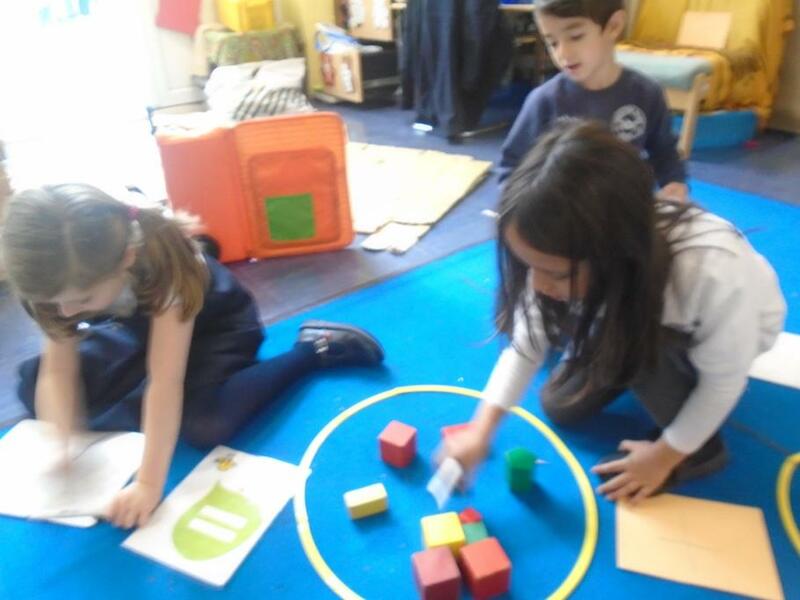 the children worked in small groups with objects to show addition up to 10. e.g 1 + 1 +1 = 3. We have been recording these as number sentences, please encourage your child to show you how to write repeated addition number sentences. This week has peace week in literacy we have been learning about how to bring peace to the classroom and be kind to each other. The children have been writing sentences telling people how to be kind. We have been learning about Guy Fawkes and the gun powder plot and writing wanted signs to ask people to help the police find Guy Fawkes. ask your child about Guy Fawkes and why we celebrate. 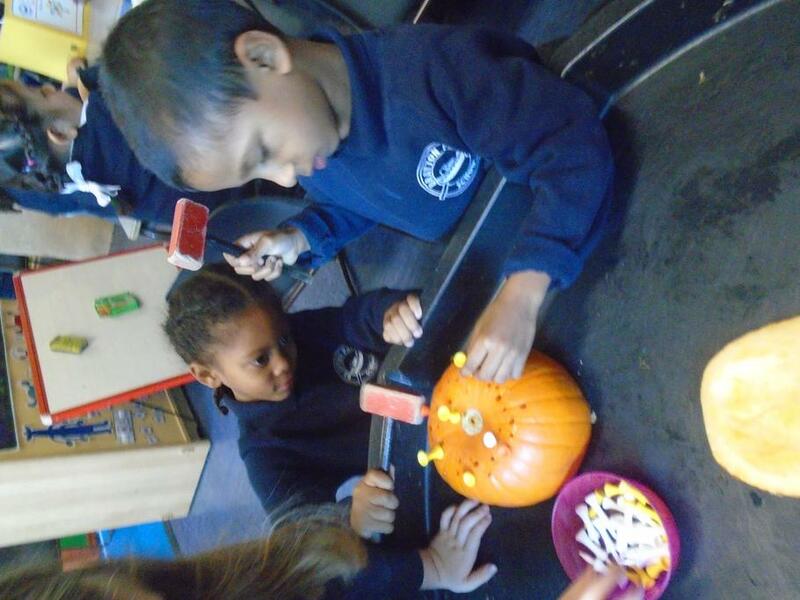 We have been very excited this week because our pumpkin sees have started to grow! 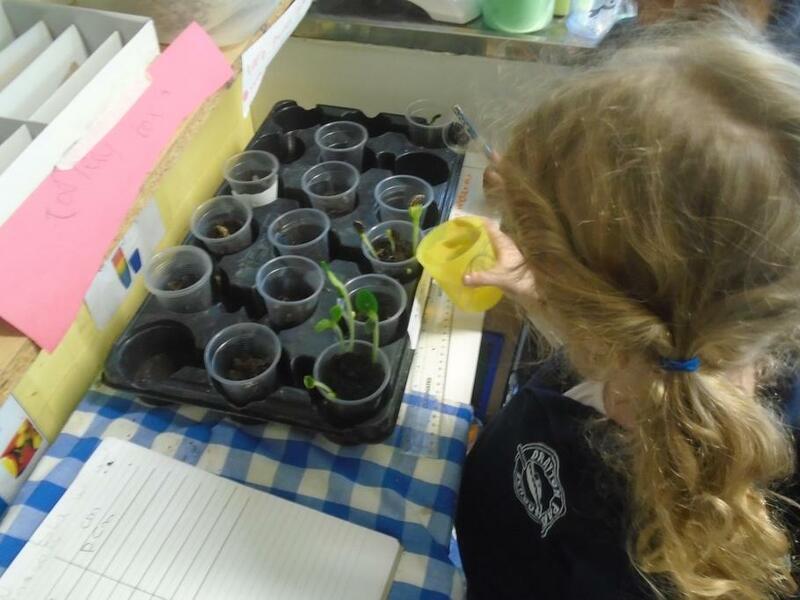 we have been watching them this week and measuring them each day to see how much they are growing. 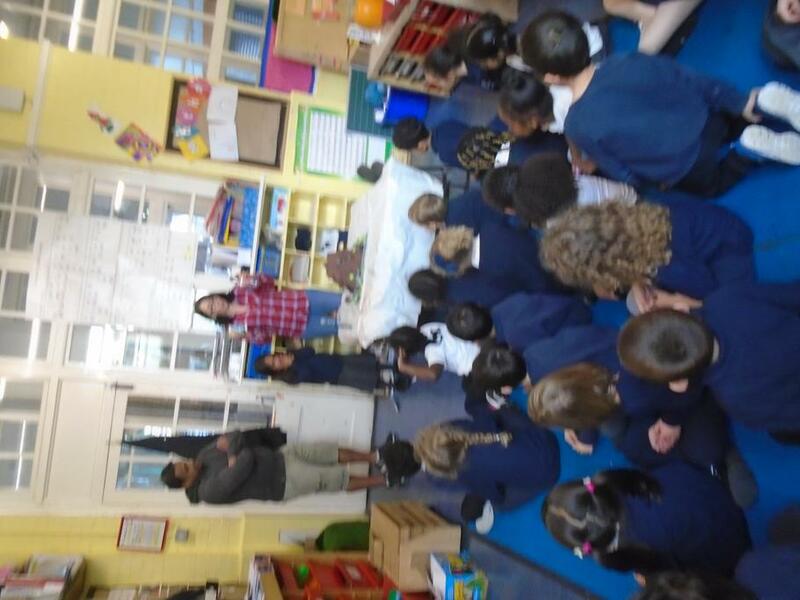 We have learnt all about the festival of Diwali and how people celebrate, please ask your child to share there learning with you. This week in literacy we have begun talk for writing. 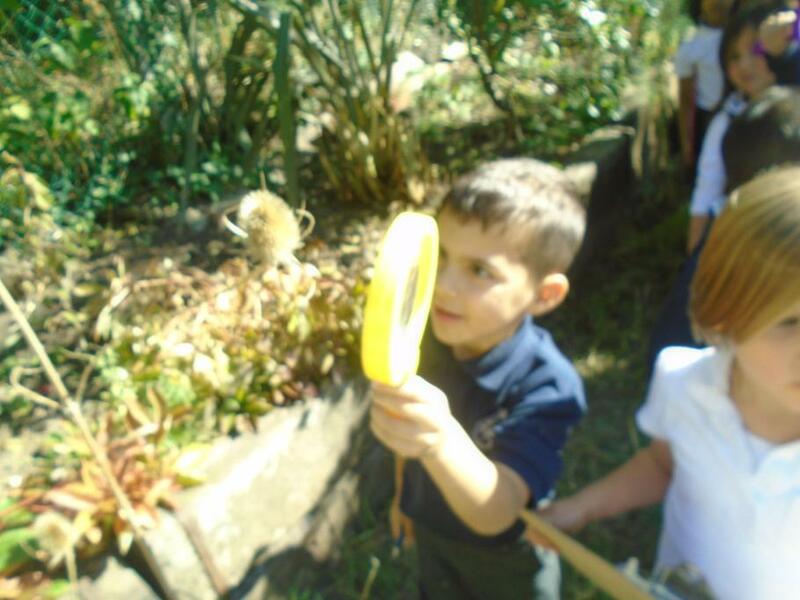 The story we are learning this term is ‘we’re going on a bear hunt’. 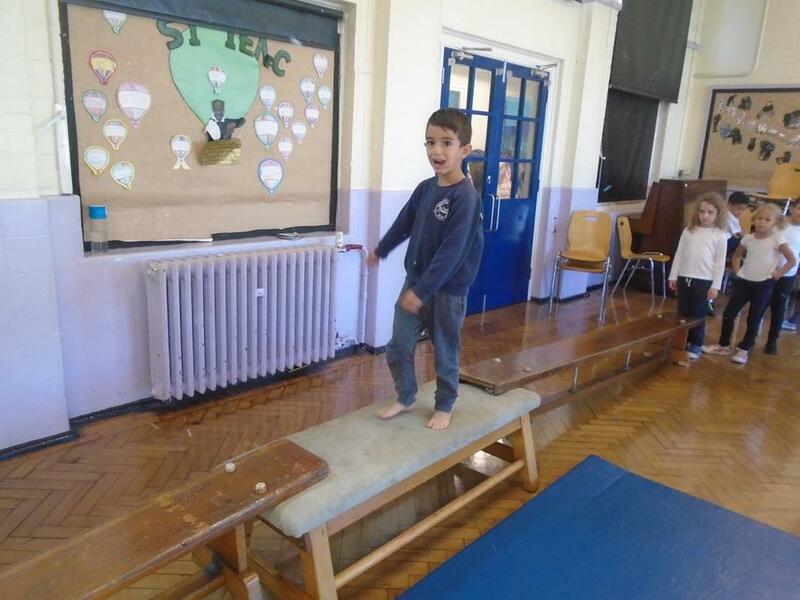 The children have been learning to retell the story using actions. We have been drawing individual story maps to support the retelling. 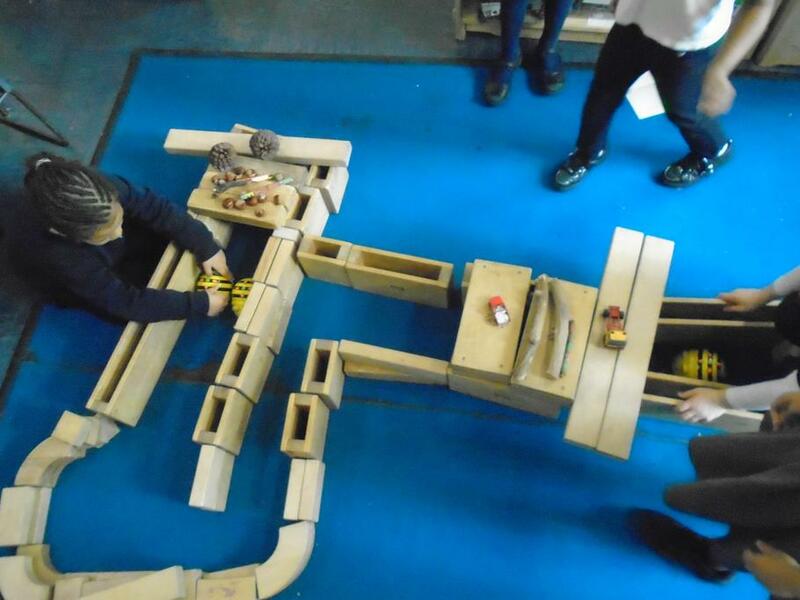 Can you ask your child to teach you the actions and the story? 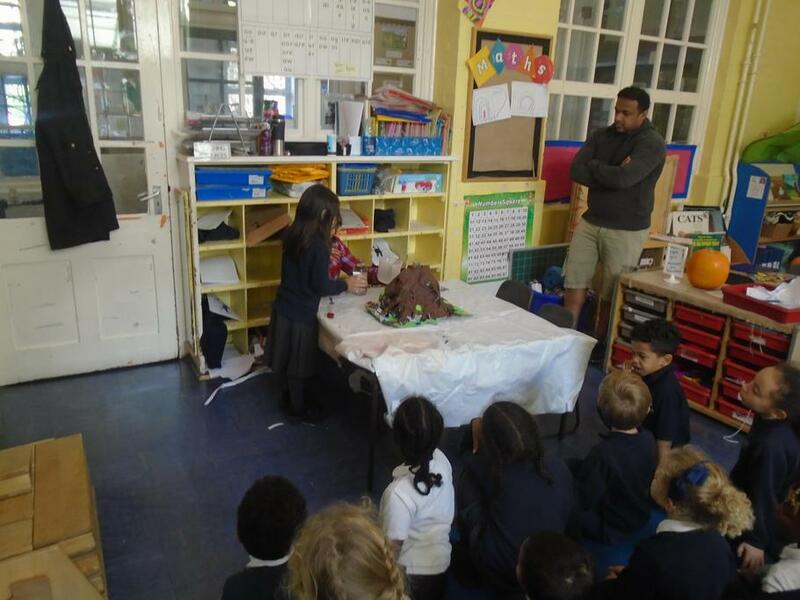 We have been learning about brown bears. 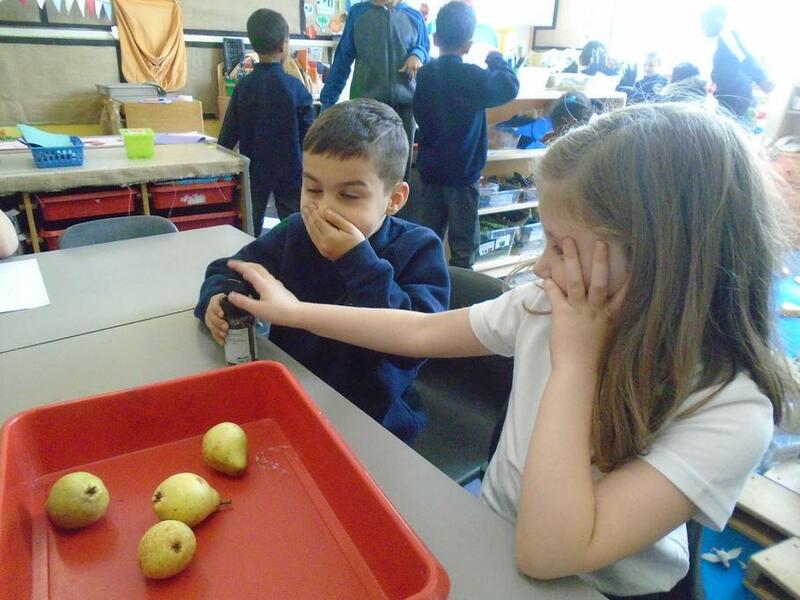 We are preparing for our very own bear hunt and before we begin we need to understand how brown bears behave, where they live, what they eat and how to spot them. 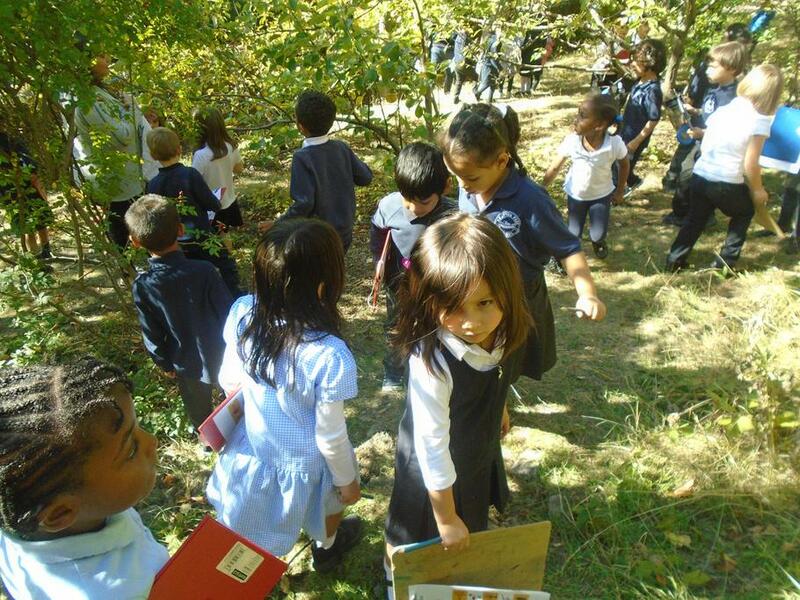 Ask your child to tell you everything they know about brown bears. 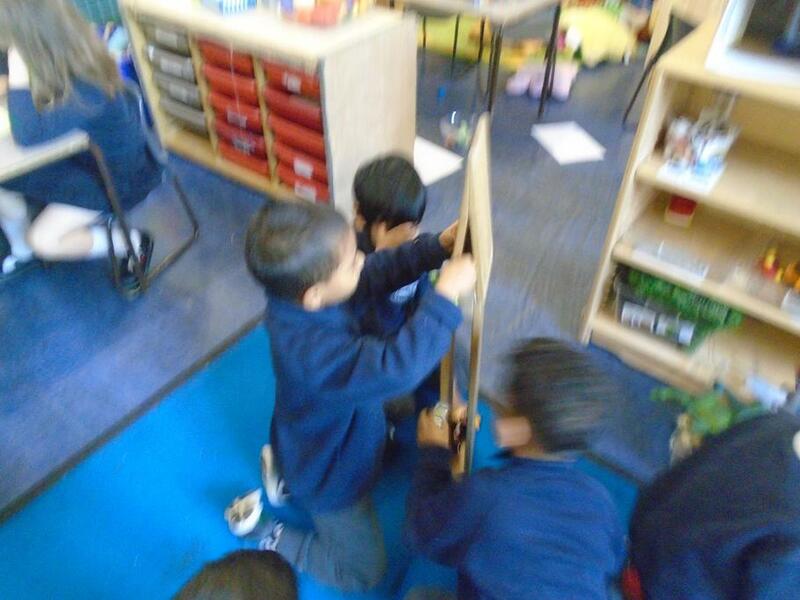 We used musical instruments to retell the story of ‘we’re going on a bear hunt’. 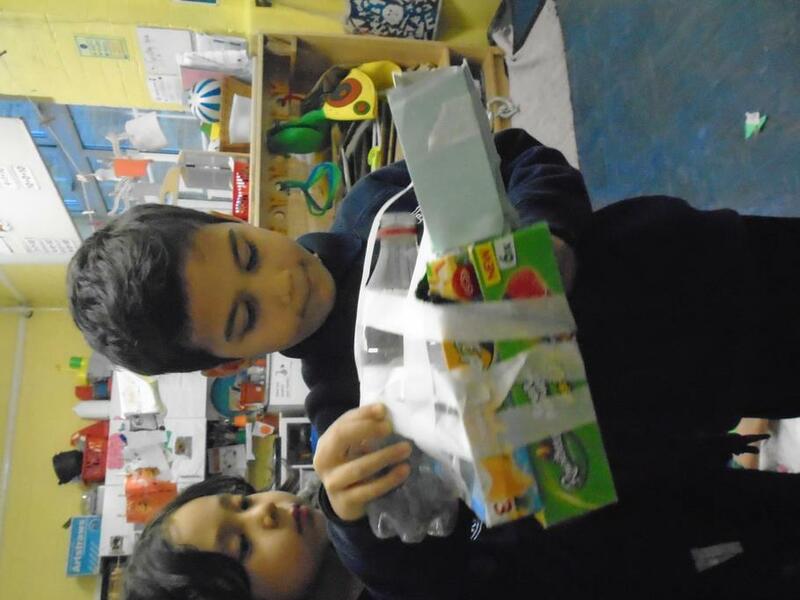 The children selected instruments that sounded like the setting from the story. 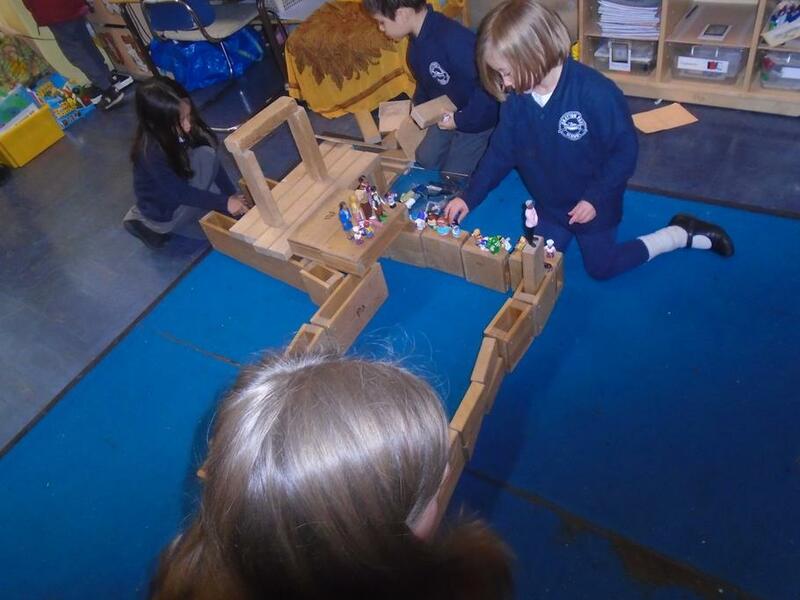 Shaking water bottles to represent the deep cold river, using the xylophone and a beater to make quiet tiptoe noises through the cave, ask your child to tell you the other instruments we used and can you find objects at home that make sound to represent the setting from the story. It is peace week we are going to be celebrating this as a whole school and within the week we will be learning about Remembrance Day. We will be discussing how we can bring peace to our lives and in school. 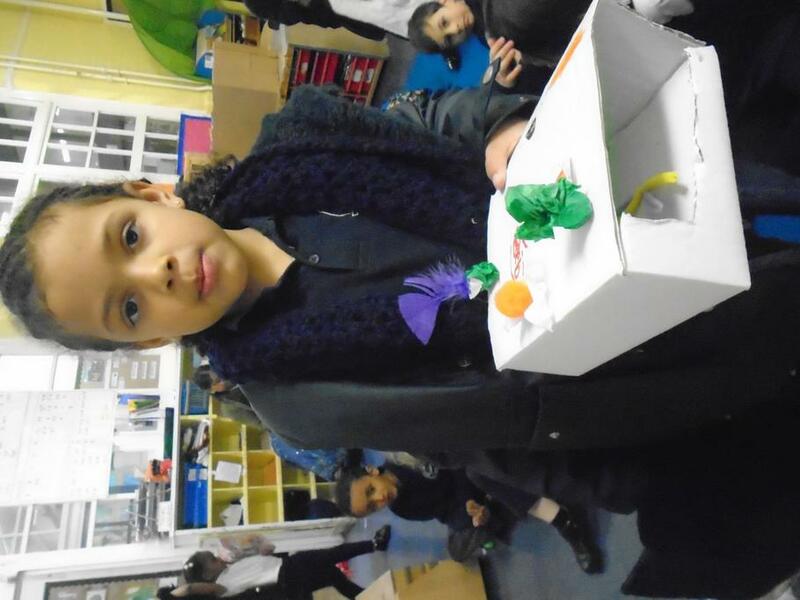 Celebrations - We will be learning about Guy Fawkes and Diwali. If you would like to come into the classroom and talk about any of these celebration and festivals please just come and see me to arrange this. 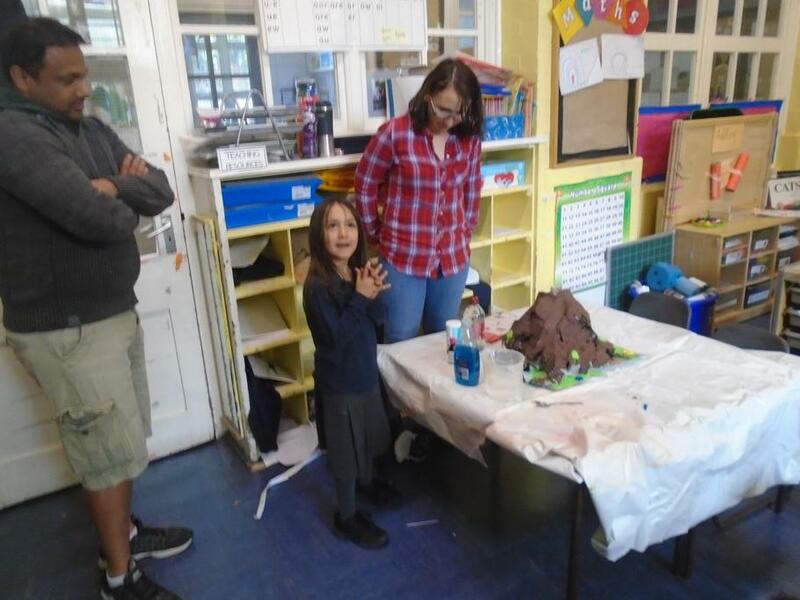 Thank you so much to Sofia and her parents for bringing in a volcano they had made at home and sharing learning with Venus Class. 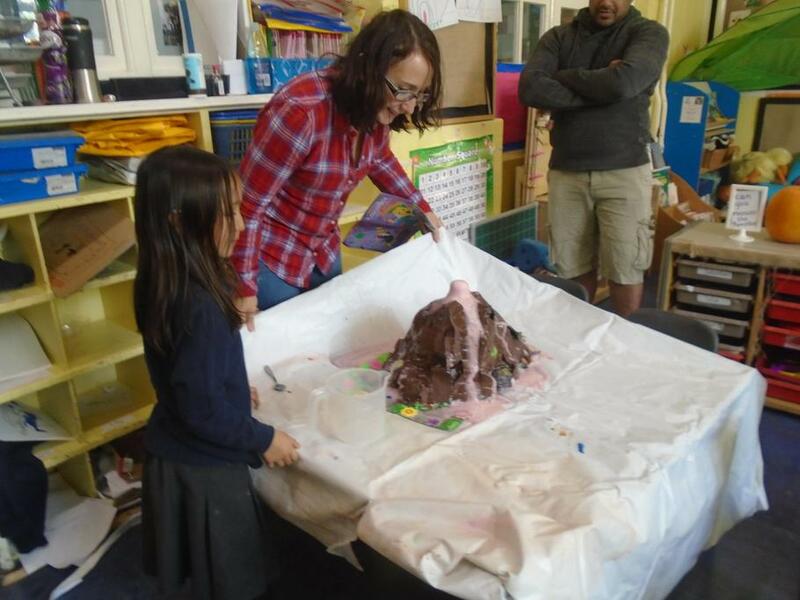 We really enjoyed learning about how and why the volcano erupts and loved watching the process! 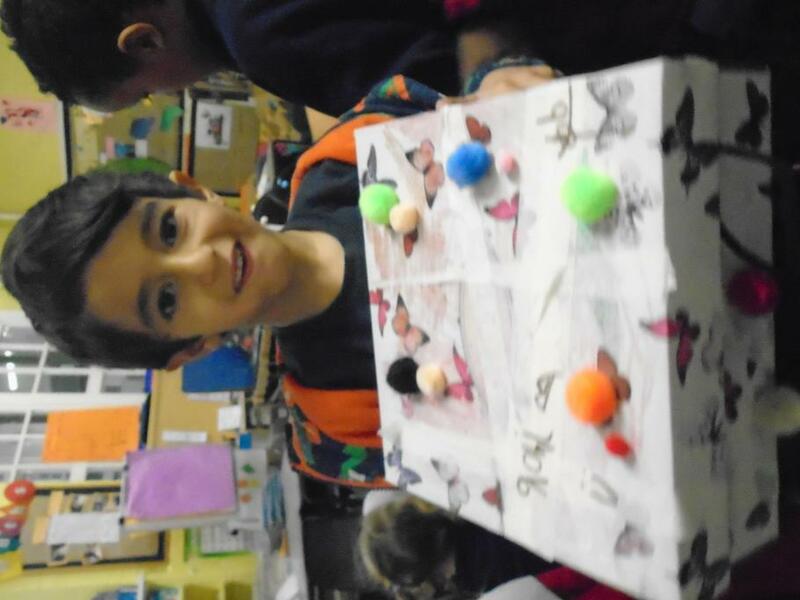 If you would like to share home learning, something about your job or come in and participate in a cooking, arts and crafts activity or anything else please do just let your class teacher know ! Please encourage your child to read with you at home. 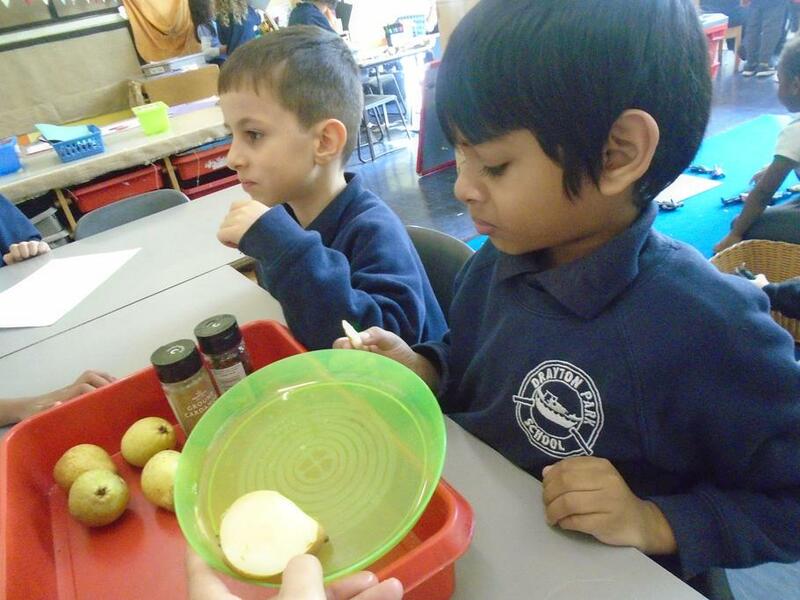 Just 10 minutes a day can have a huge impact on your child's phonics development. This can be you reading to your child and then asking them questions about the story, share the reading with your child you read one page they read one page, or let them show off and read you the story. You don't have to finish a whole story in one go, space it out throughout the week or 2 and predict together what you think will happened next! 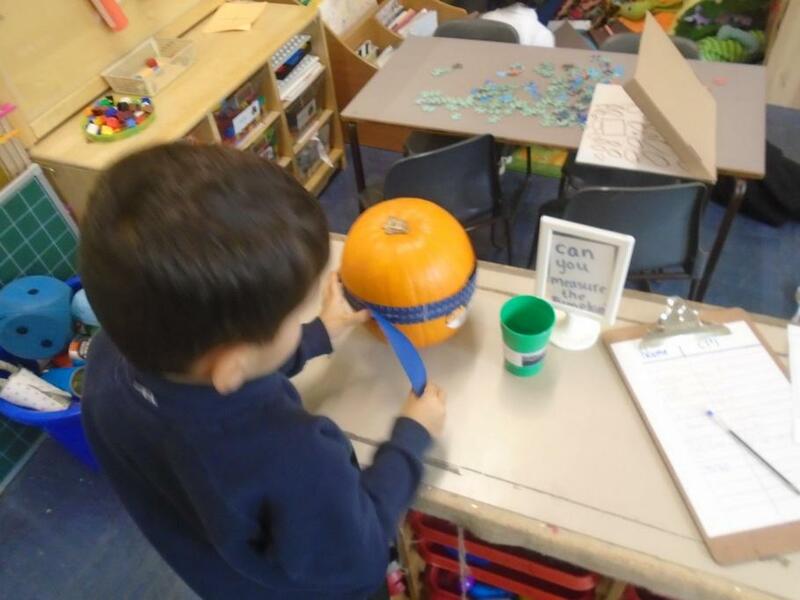 This week we have been reading the story Pumkin soup. A delightful tale of friendship tested when there is upset. The cucharacters learn the rewards of compromise and working together. 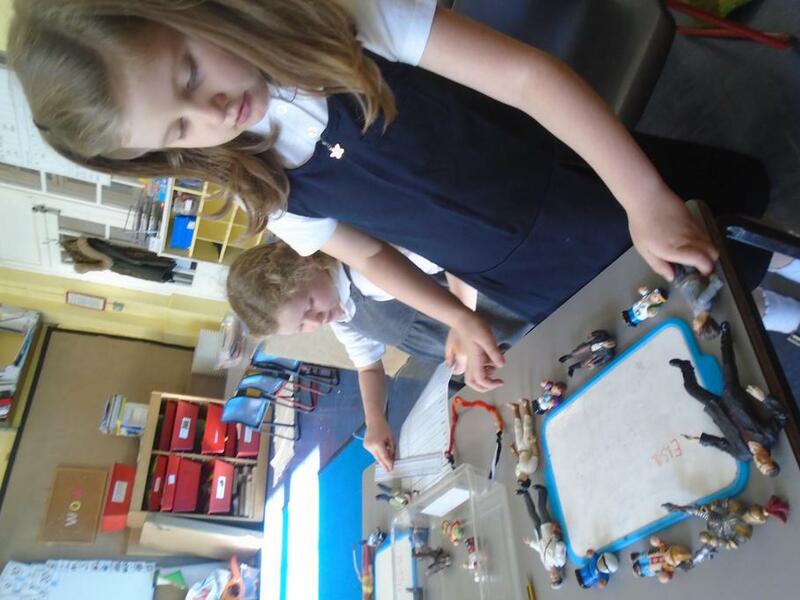 We have been tracing the pictures and creating speech bubbles for the characters. We have been learning one more and one less this week and what this means. 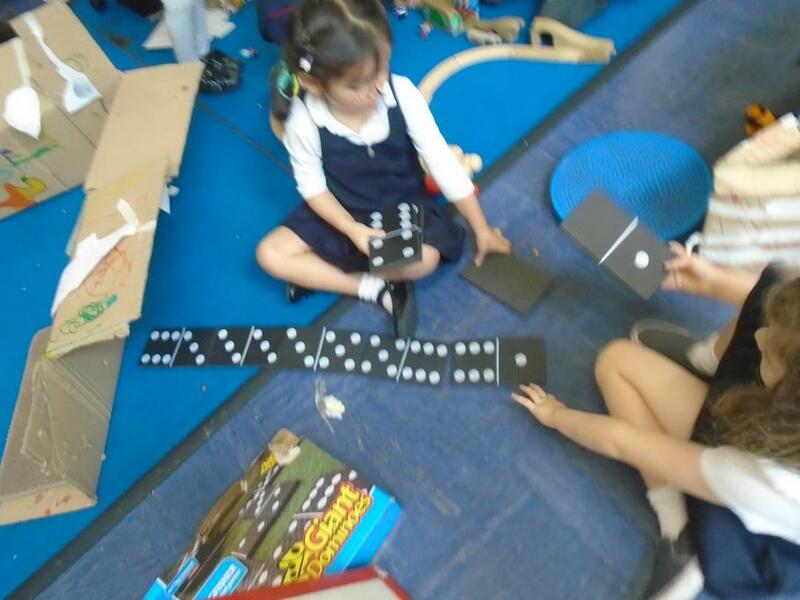 We have played a "I have....who has...." game to encourage mathematical thinking but also develop their language skills. 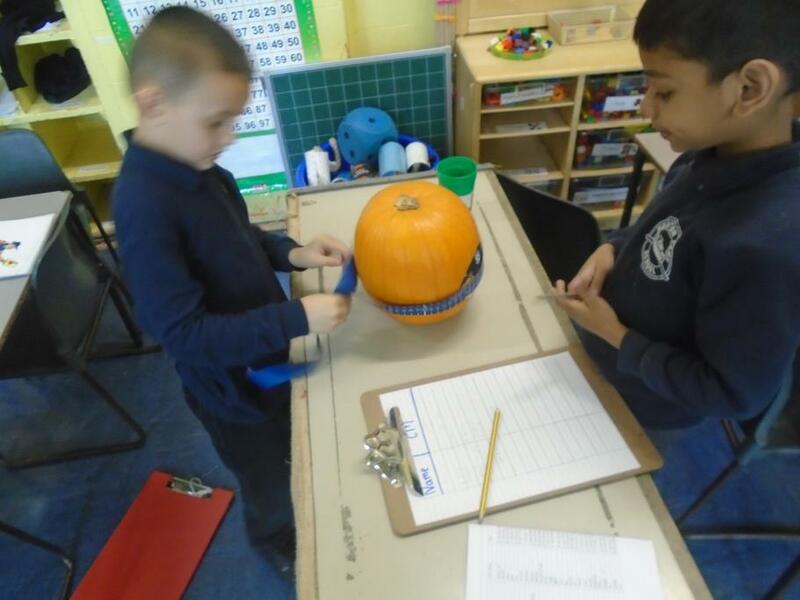 We have been busy measuring pumpkins, using a tape measure and recording our results using CM. 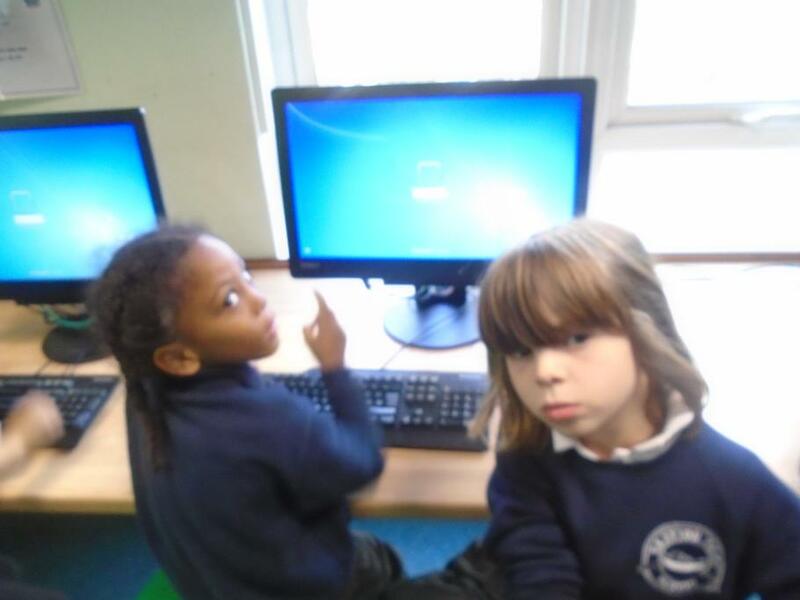 We had our first ICT lesson this week. 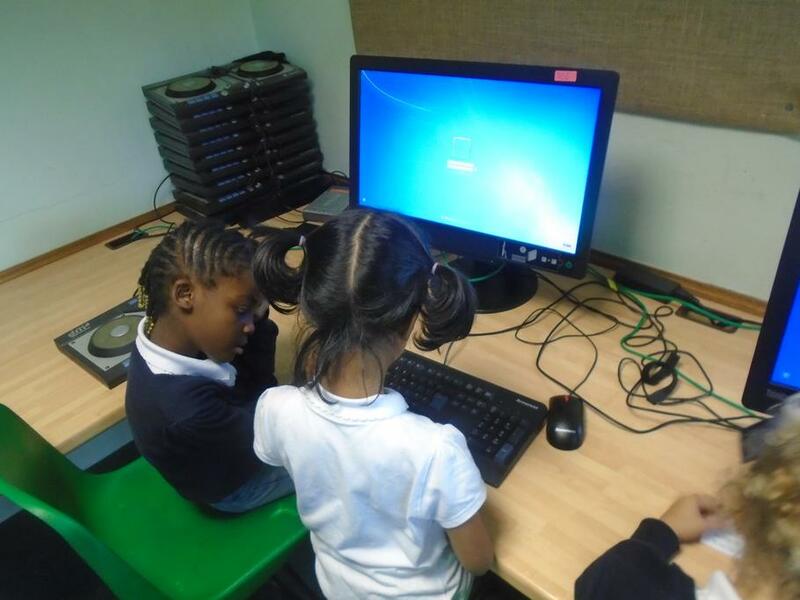 The children were very excited to go to the computer room. 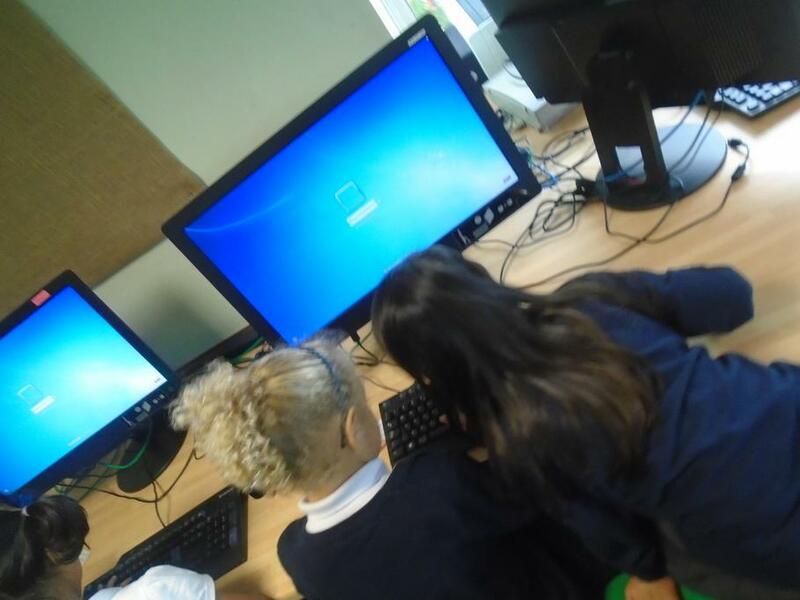 We practiced logging on to the computers using Venus class username and password. It would really help your child if you practise learning what letters look like in lower case and capital form. 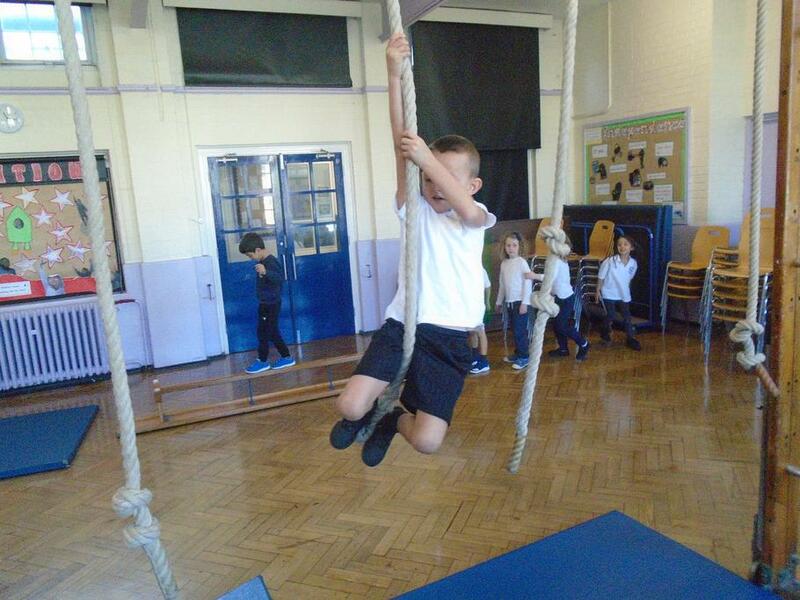 The Year Ones in Sun class have had a busy and exciting week this week. 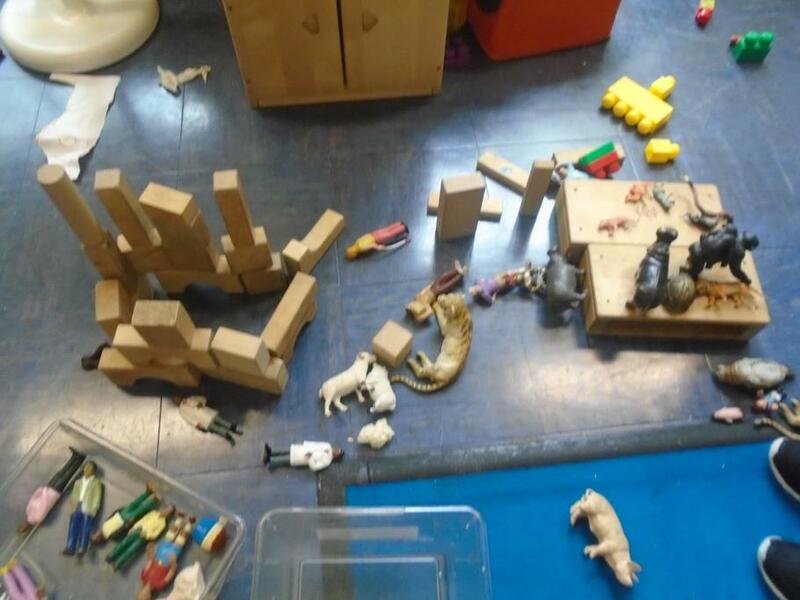 We have been reading one of our favourite stories - 'We're going on a bear hunt' and having a go at some really fun activities all linked to the story. 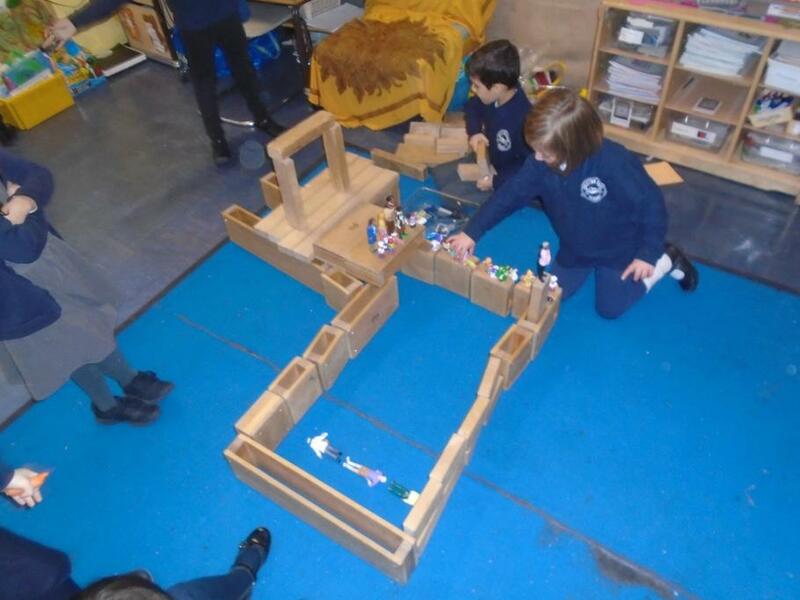 We have created story maps for the bear hunt and annotated the settings before retelling the story to our friends. After we drew the settings we had a go at writing some great sentences with adjectives to describe them. Ask me about my sentence including an adjective! 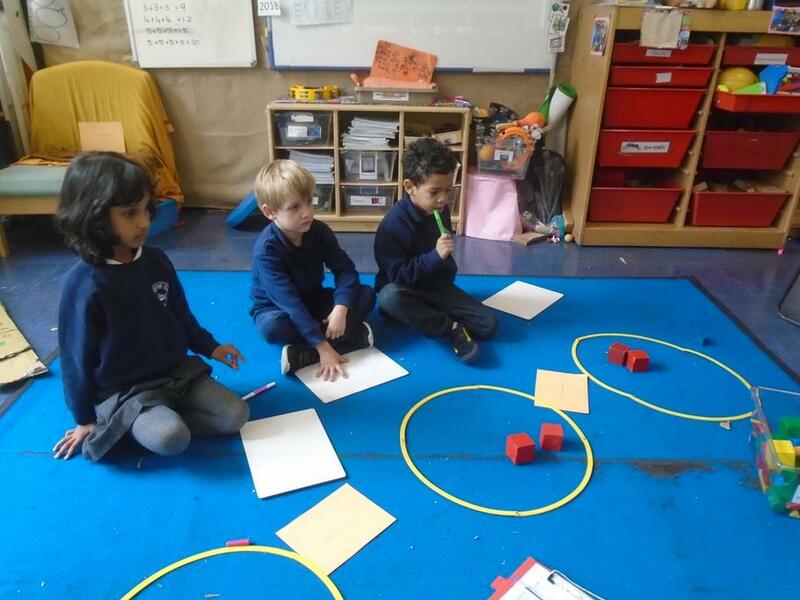 In Maths this week, we have been finding out what it one more and one less of a number up to 20. 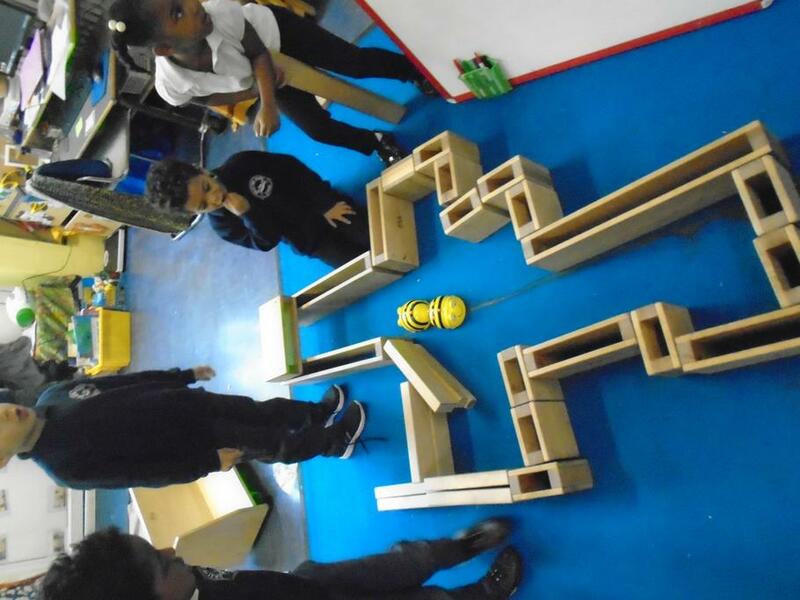 We have had fun playing one more and one less on a random number generator. 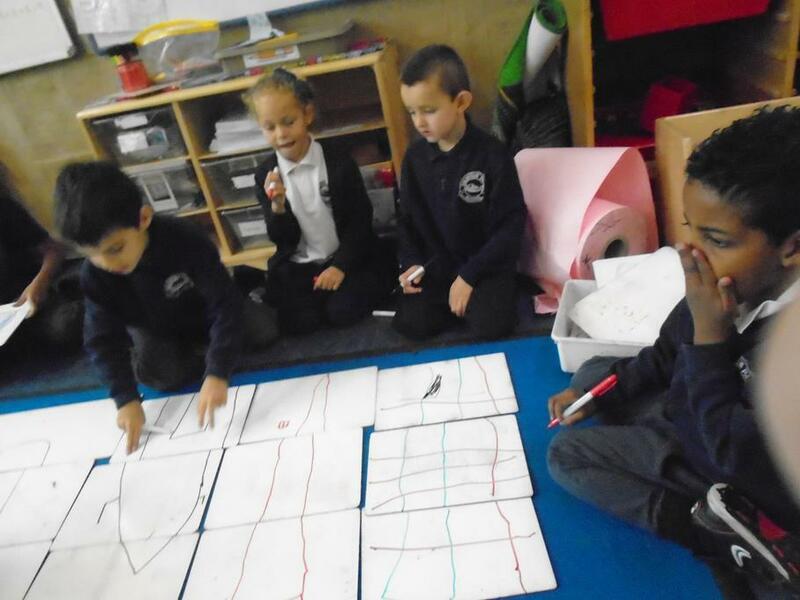 We drew out 1-20 number lines which have helped with our counting forwards and backwards, as well as helping us to see what is one more and one less than a number. 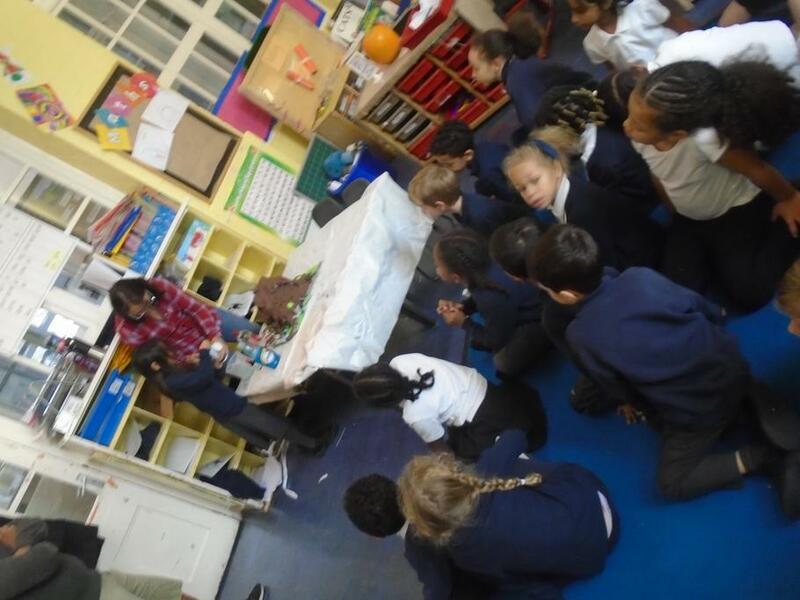 We have started to learn some cool bear facts, and when we come back from half term get ready to learn some interesting facts about what bears eat and their hibernation. If you want to get ahead, why not visit the library and take out a book all about bears? 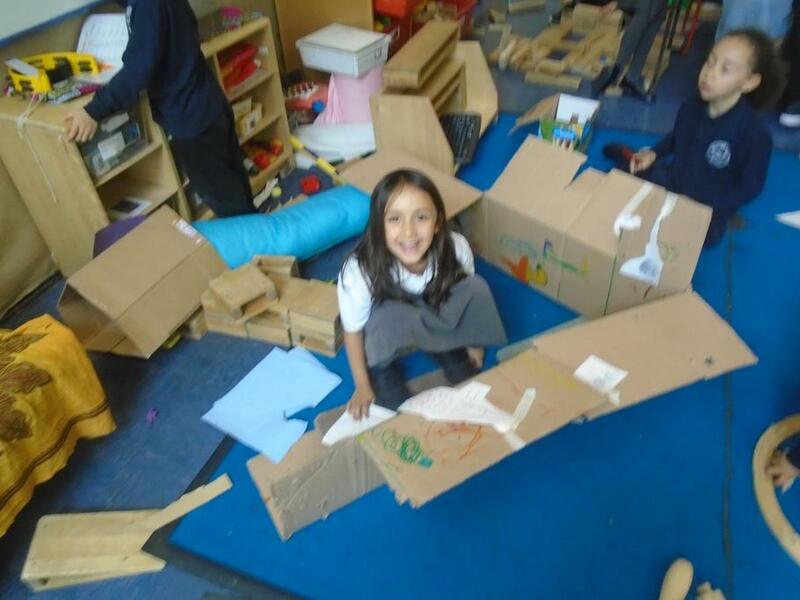 We have been getting messy this week doing all things bear hunt! 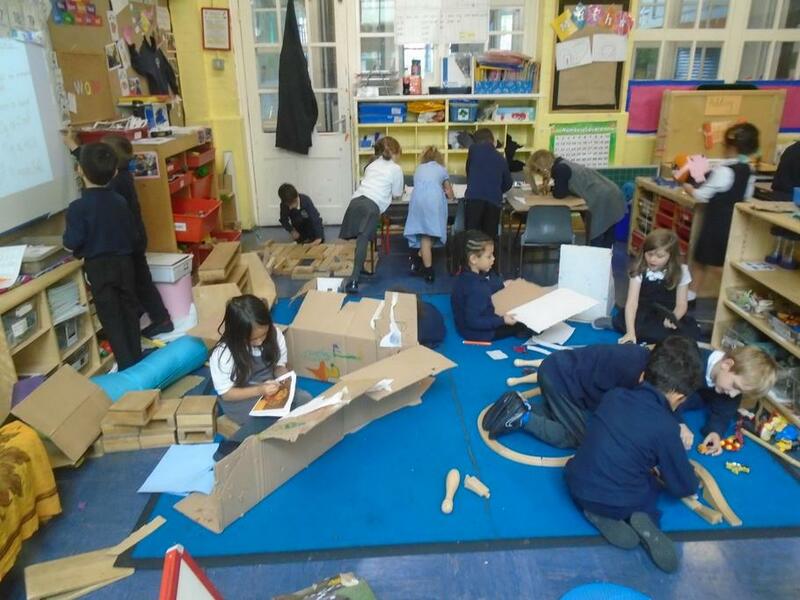 The children have created masks for their role play, explored new textures and mediums when creating large bear pictures and painted the different settings from the story. We will be continuing our work around the story when we return from half term, so keep reminding your children of the famous tale! 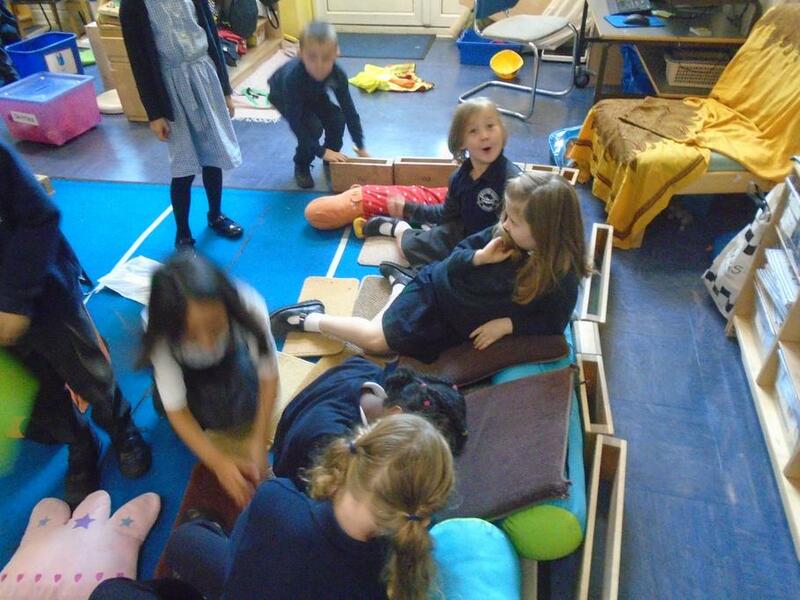 We hope you have a very restful half term. Be sure to read the book which is being sent home, and return it when we get back. Enjoy your breaks and come back refreshed. Sorry for the delay due to absence. 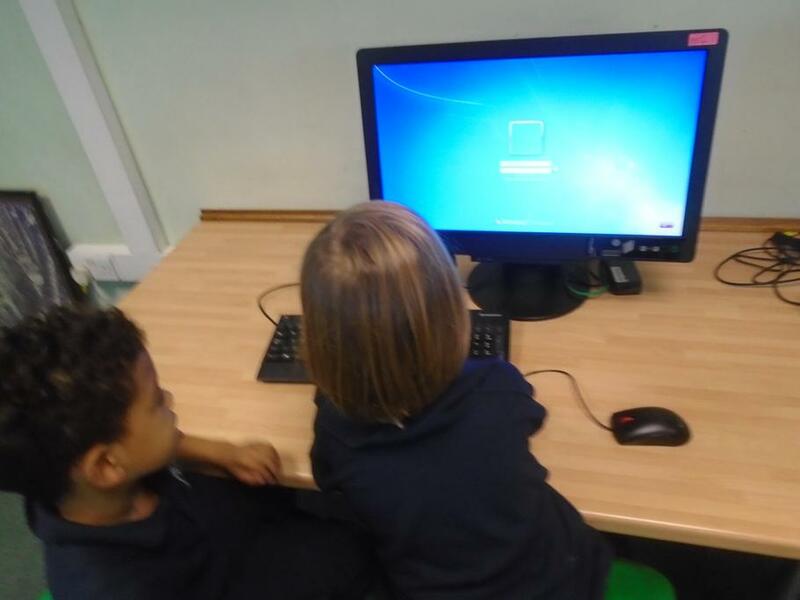 This week in phonics the children have been having a go and fixing sentences that have been written without finger spaces, capital letter and full stops. 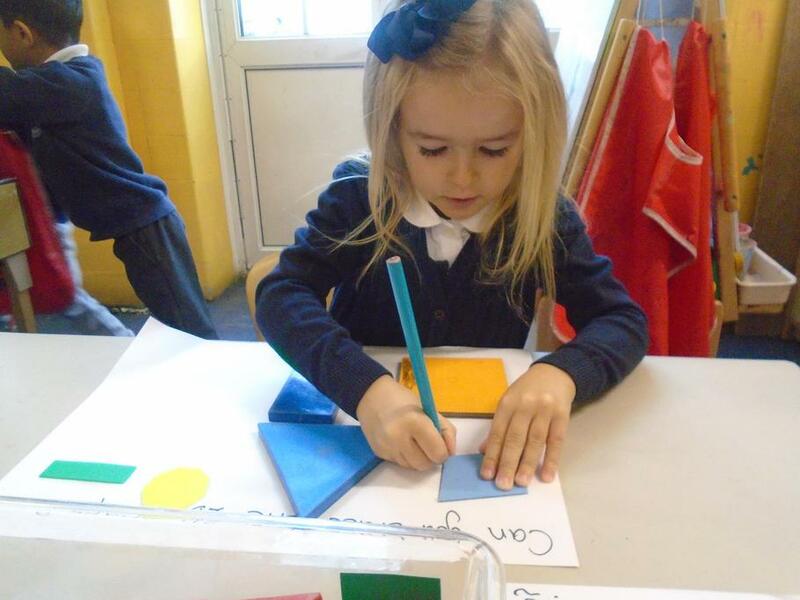 Can you write sentences for your child and ask them to spot the mistakes that you have made? We have also been learning and recapping Set 1, 2 and 3 sounds. This week in maths we have been learning about number bonds to 20. 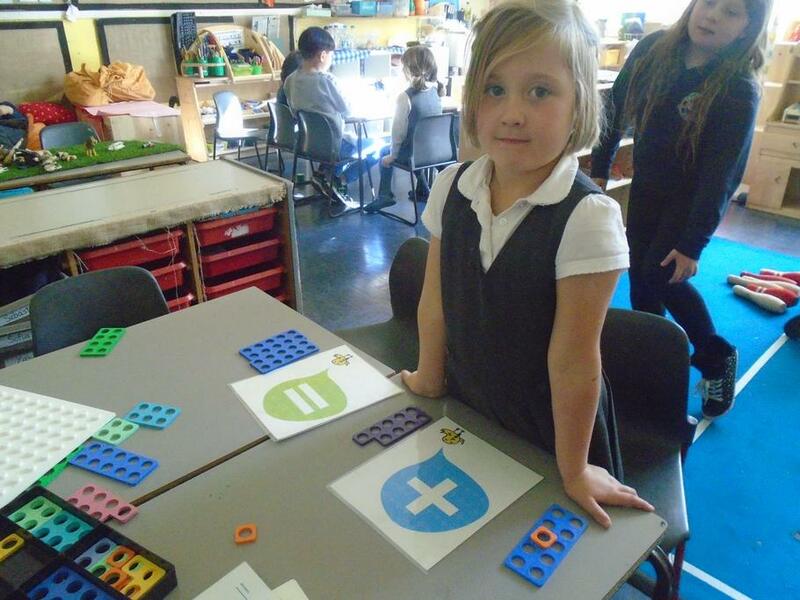 We have been using objects around the classroom, numicon and number cards to create number sentences. 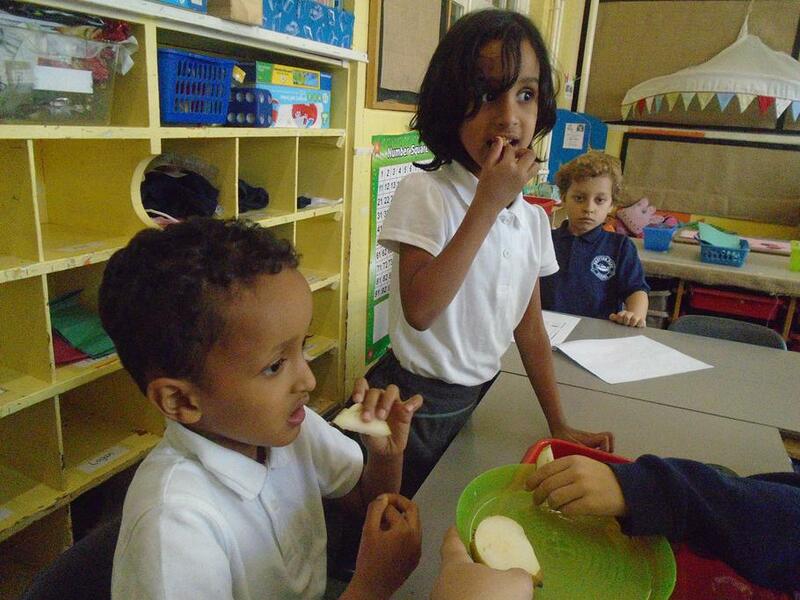 This week Sun and Venus class have been investigating different animals including humans and what they eat. 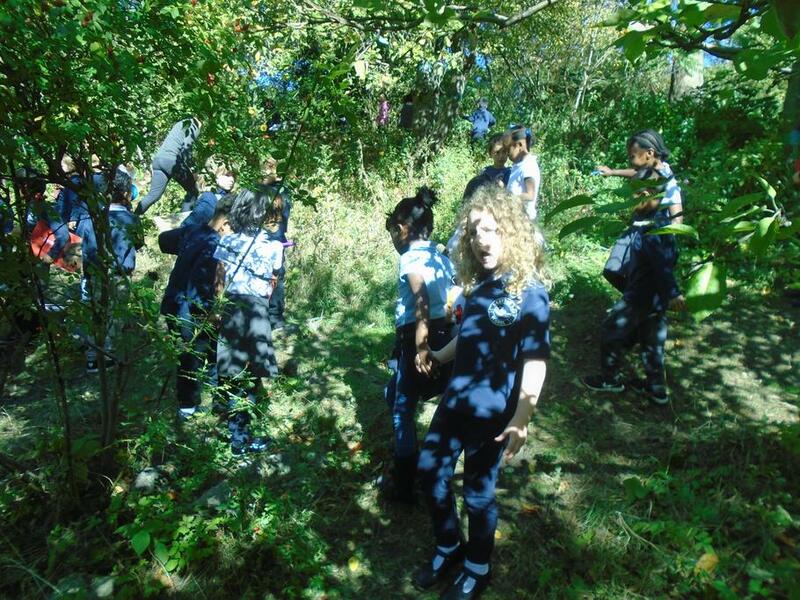 We have been classifying them into Herbivores, Omnivores and Carnivores. Ask your child to explain what these words mean to you! 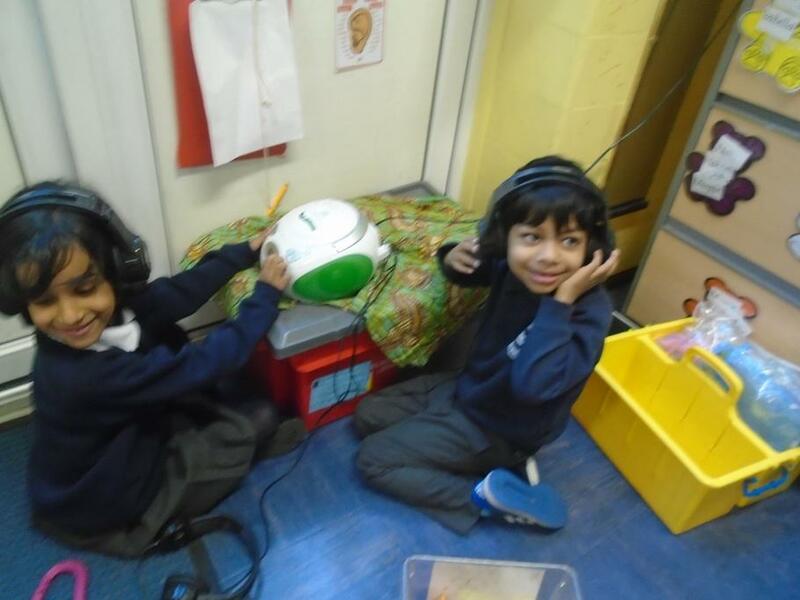 The children are continuing to learn new set sounds. We have been practising writing using capital letters, full stops and finger spaces. 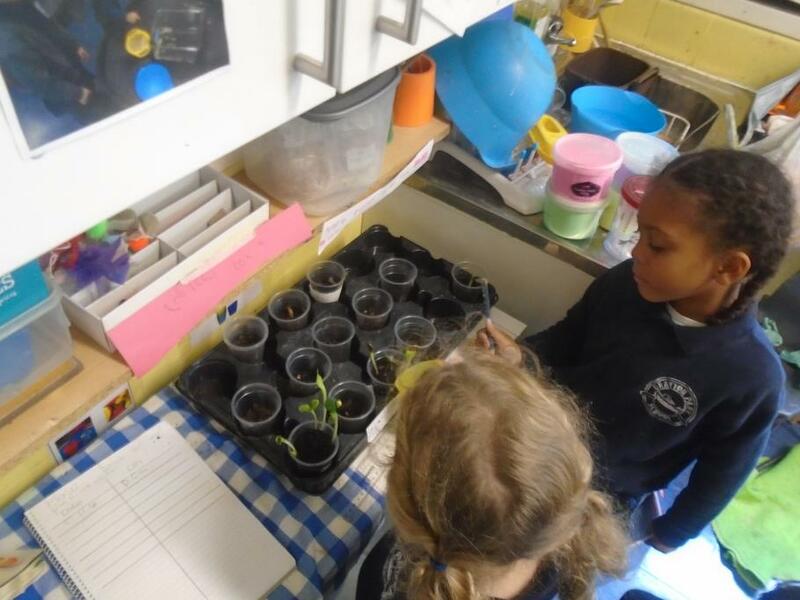 In Literacy the children have been using non-fiction texts to read about animal diets and record facts. 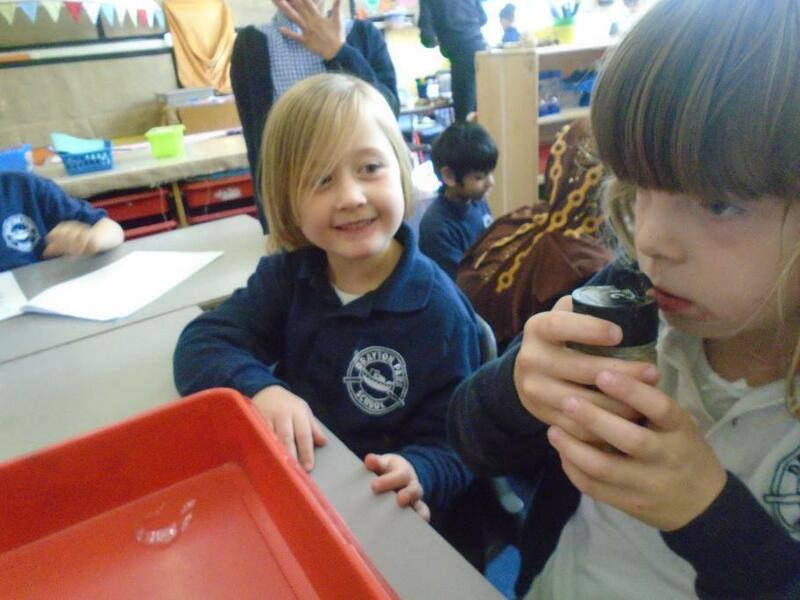 We have been recording questions about what we would like to find out about animals during this term. 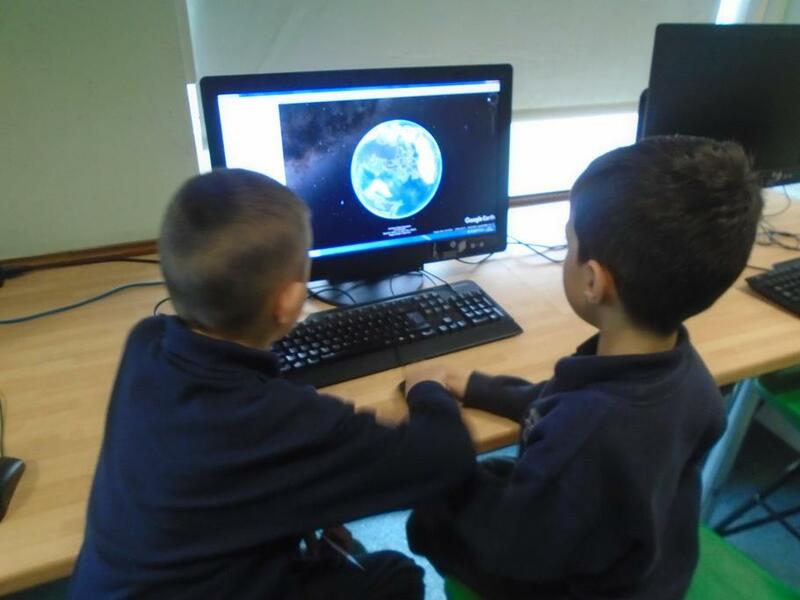 Can you use non fiction texts of research from the internet with your child to find the answers to their questions about animals. In maths we have been learning number bonds to 10. 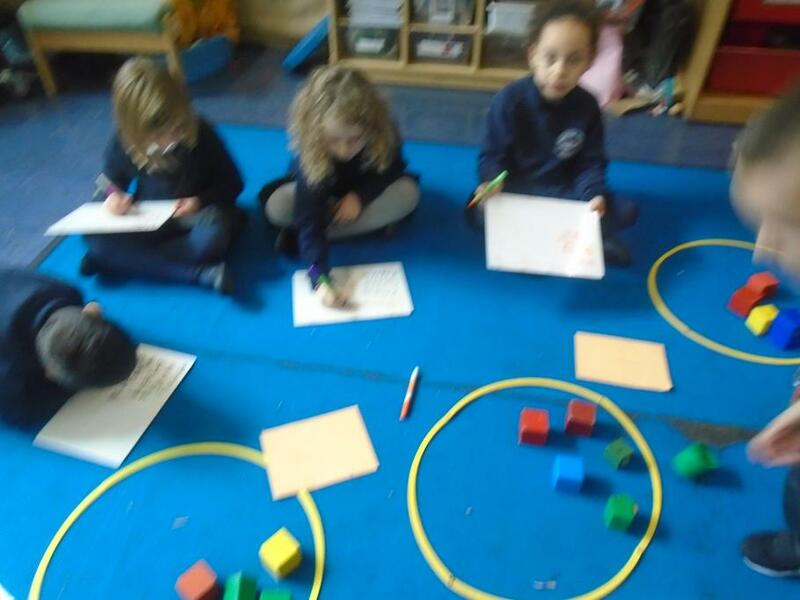 We have used numicon to represent the number bonds and recorded the number sentences in our books. 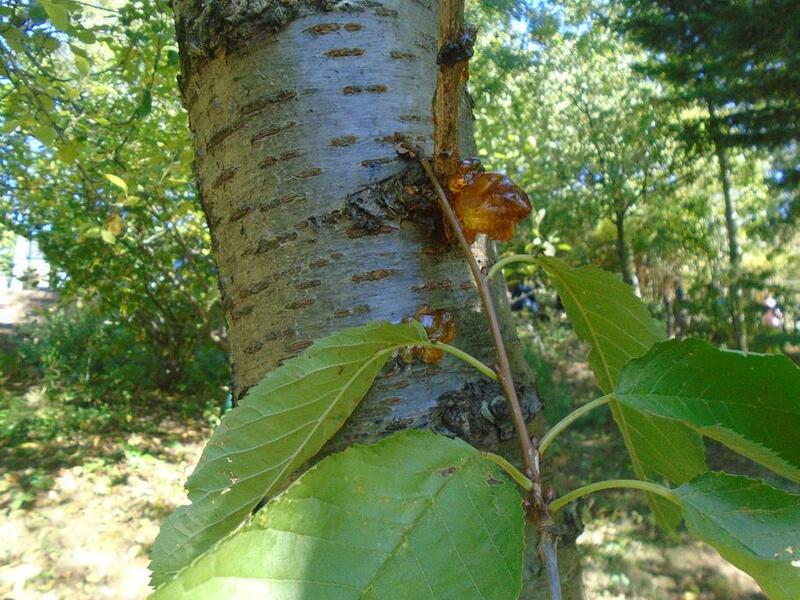 Can you and your children remember the number bonds to 10? Next week is Inclusion week. 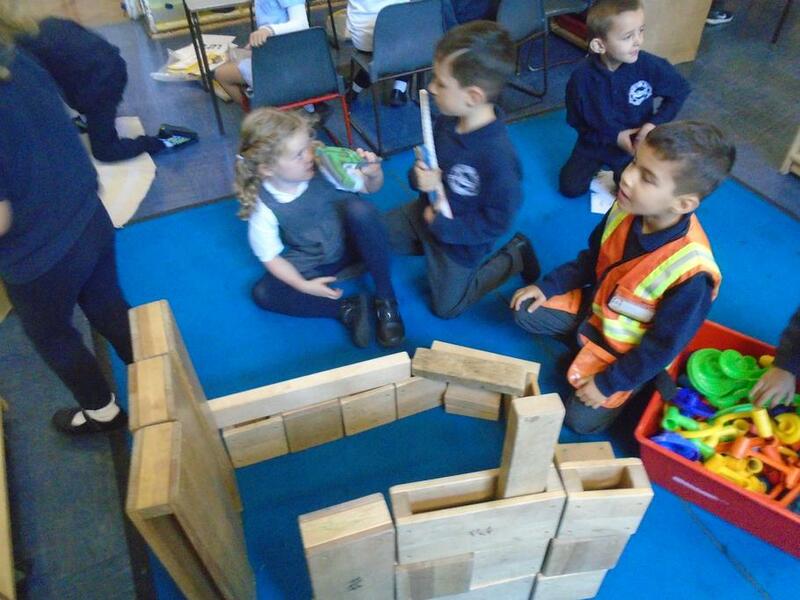 We will be having lots of discussions about our families, Where we live, What our local areas look like. 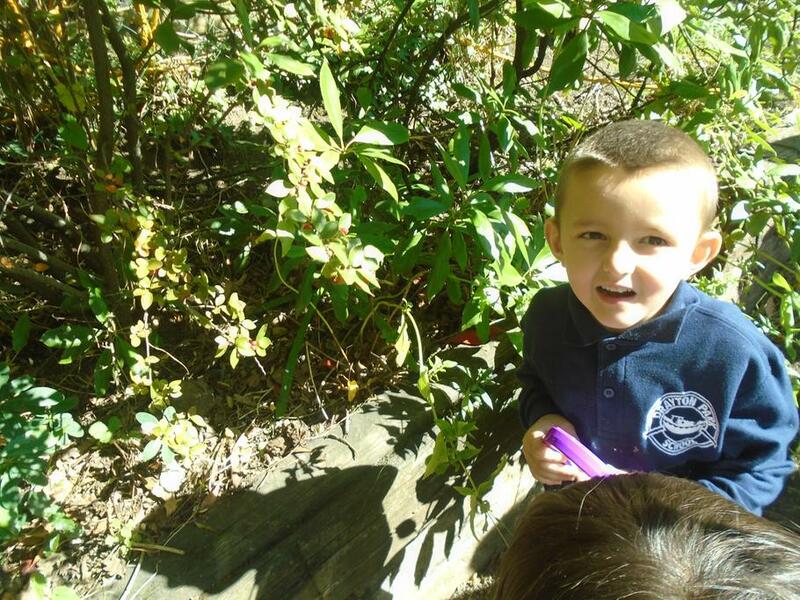 If you could bring in some photos of your family that would be fantastic so the children can show their friends and talk about their families. 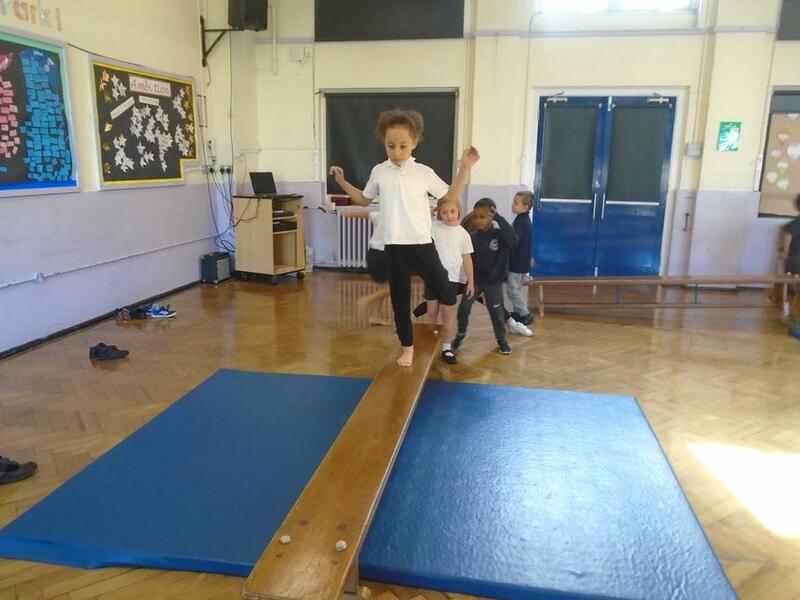 PE is every Wednesday, please remember to bring in PE kits. 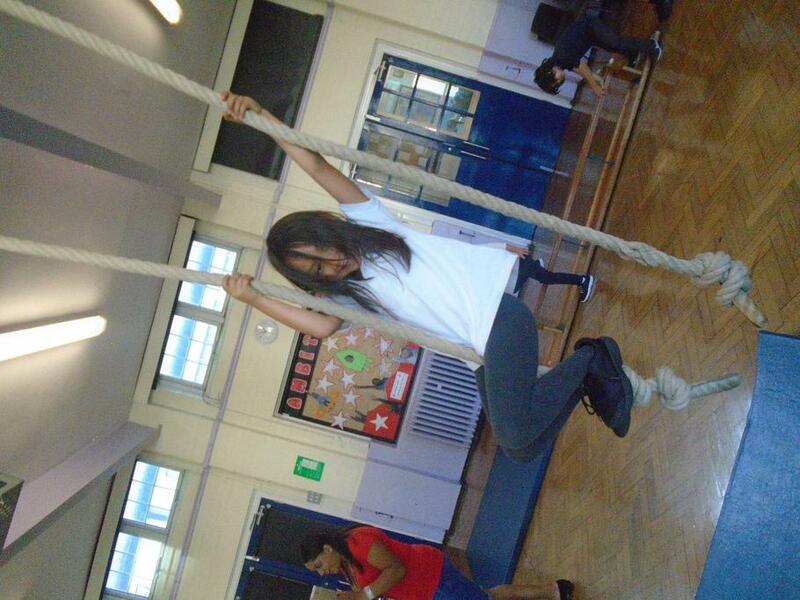 They can be left at school for the term. 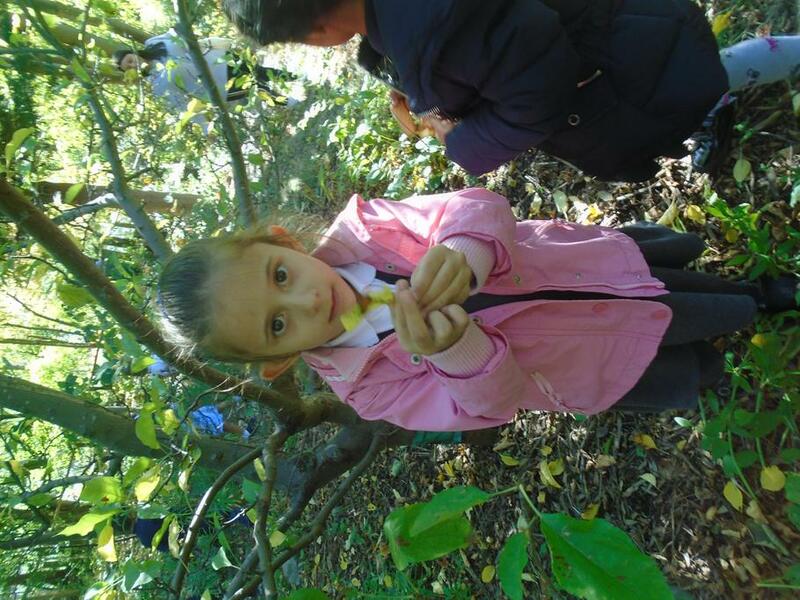 This week Sun and Venus have been exploring Autumn and on Thursday we went to Olden Gardens to have an autumn nature hunt. 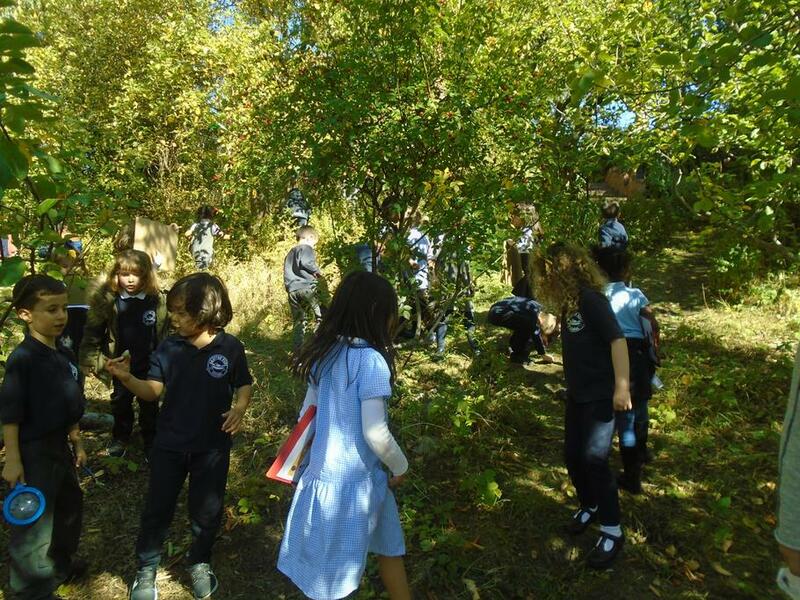 The children collected autumn leaves and varies parts of nature. 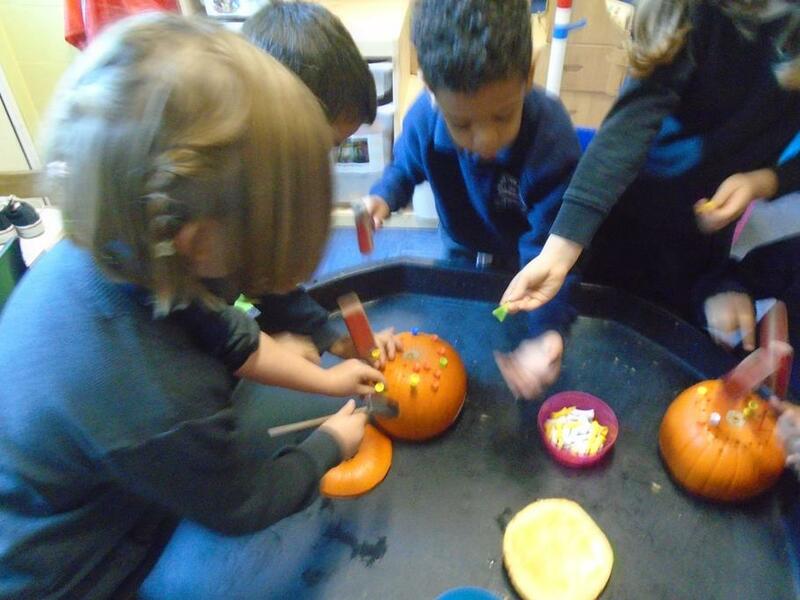 We have had some inte4resting discussion about how the seasons change. 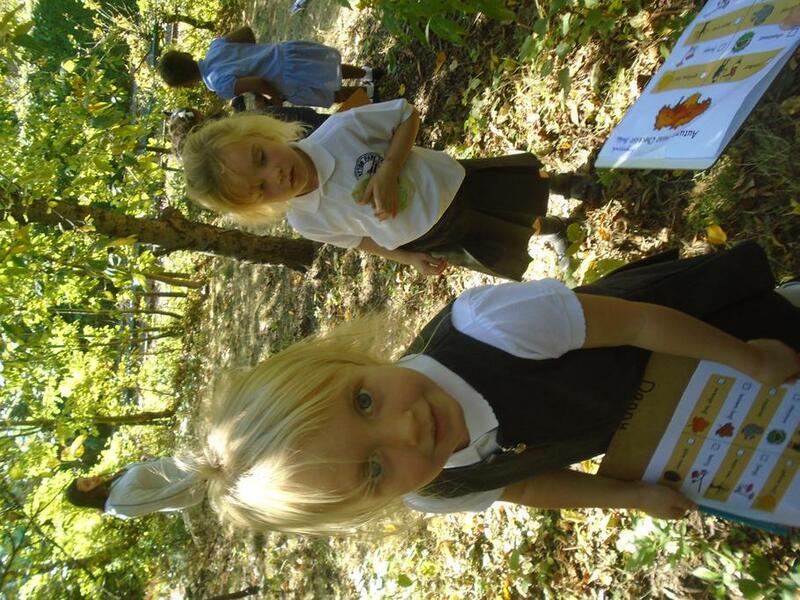 Please encourage your child to look out for autumn changes and collects any leaves, conkers, berries and interesting twigs! so that they can explore this with you. 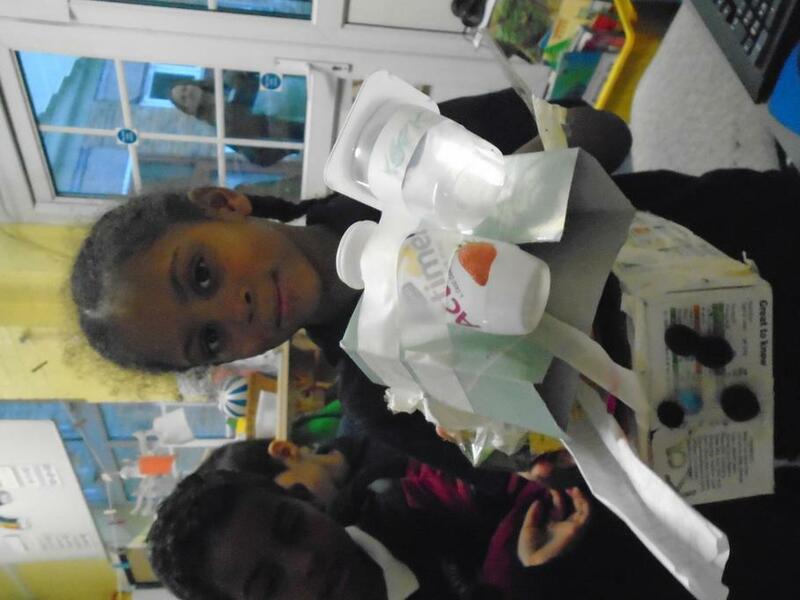 In Maths this week we have been exploring 2D and 3D shapes. 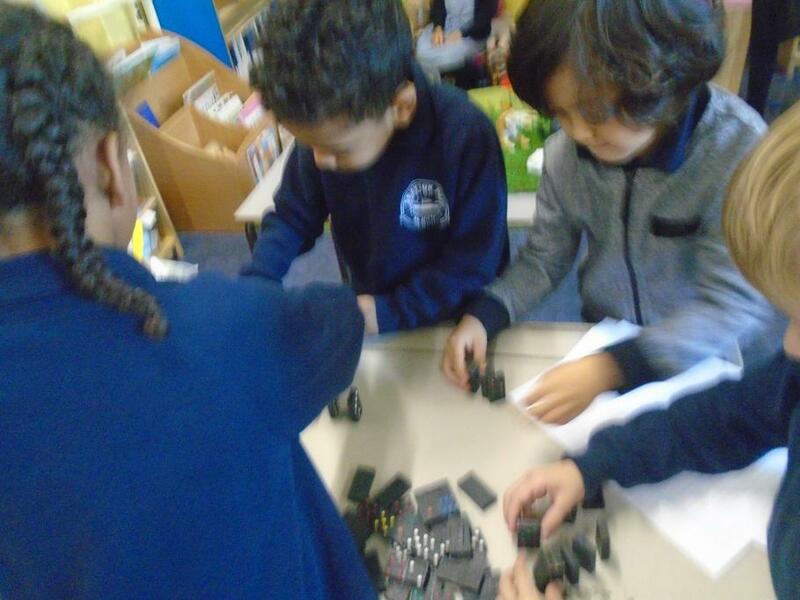 recognising their properties and sorting them into groups based on these. We have been recognising adjectives and using these in our writing. 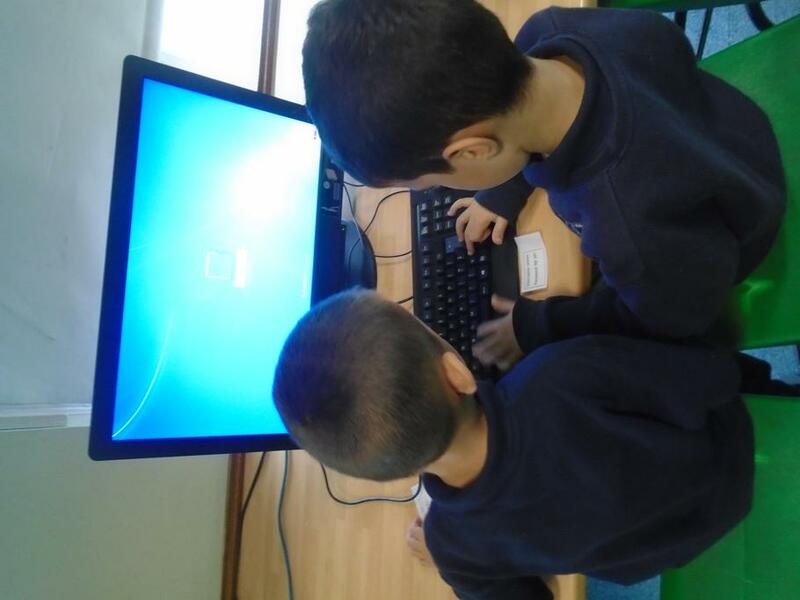 This week we have started working in groups across Sun and Venus class. 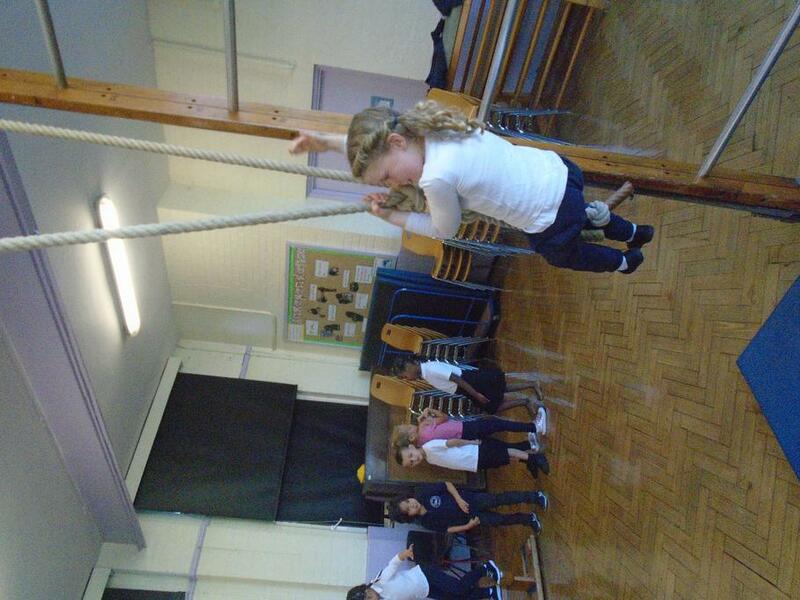 The children have been enthusiastic about phonics this week. 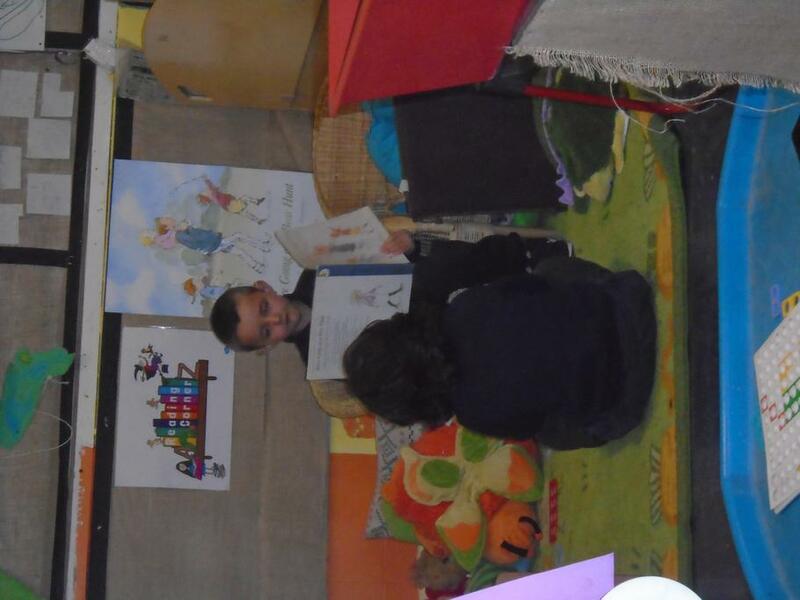 Please take the time to go through phonics sounds at home and encourage your children to read!